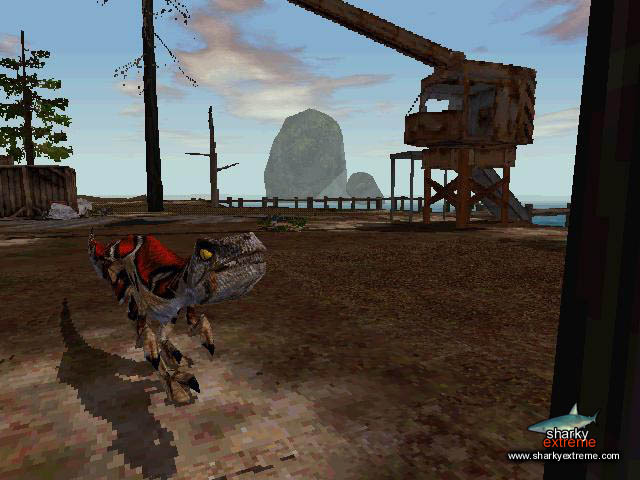 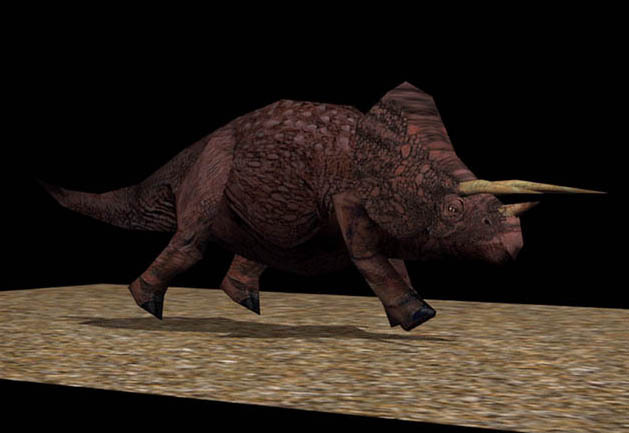 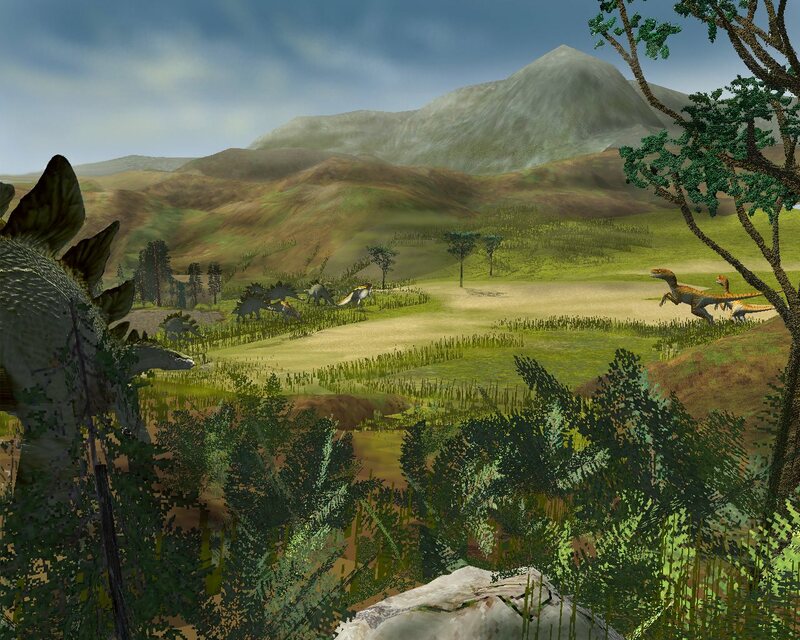 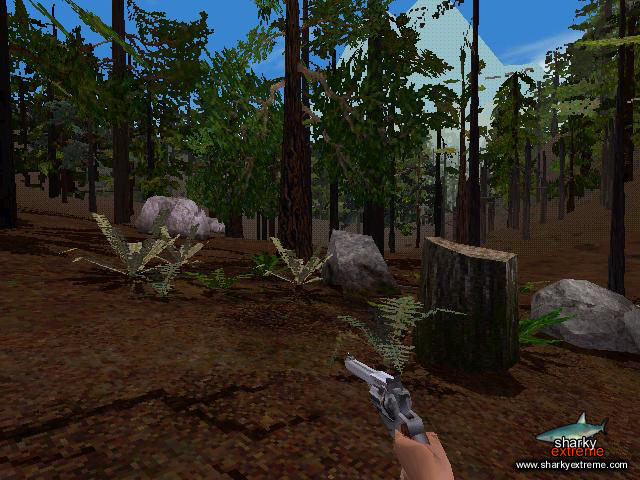 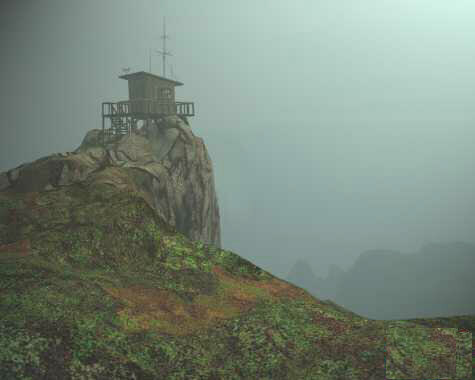 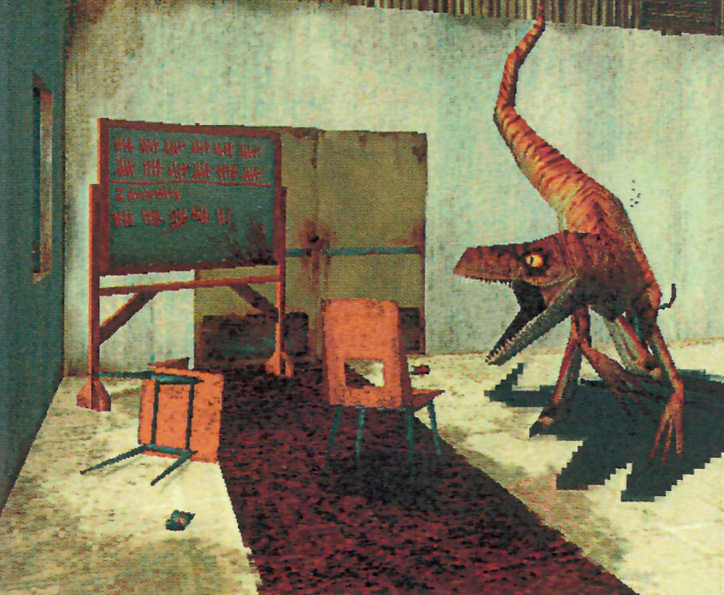 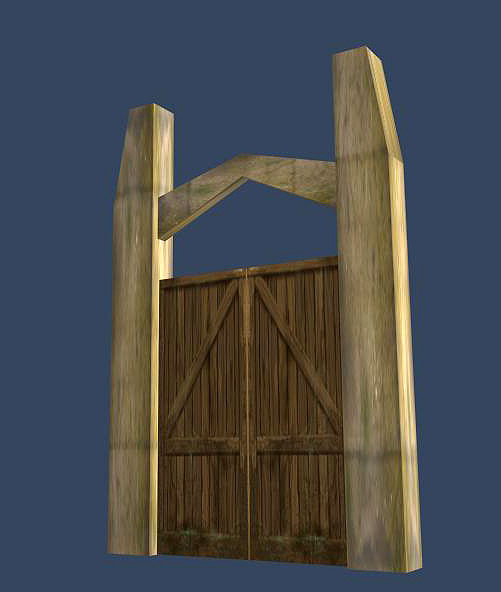 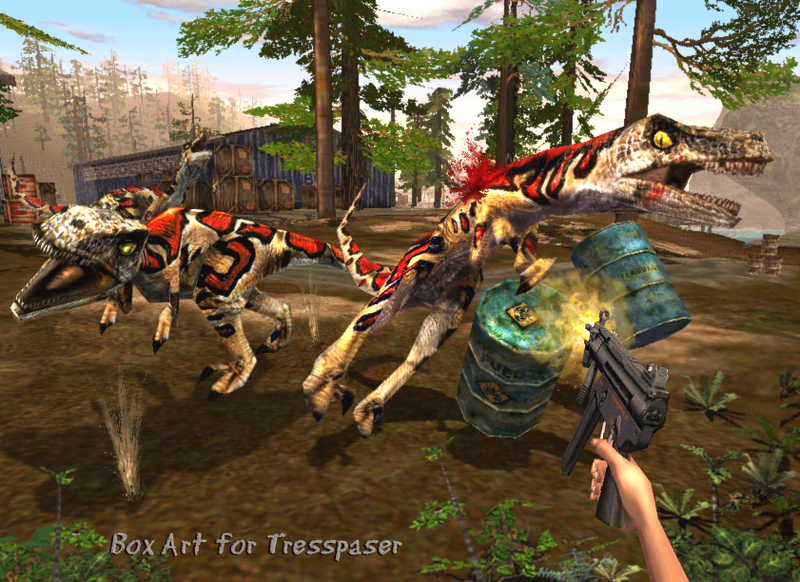 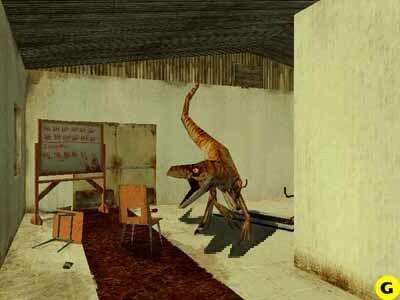 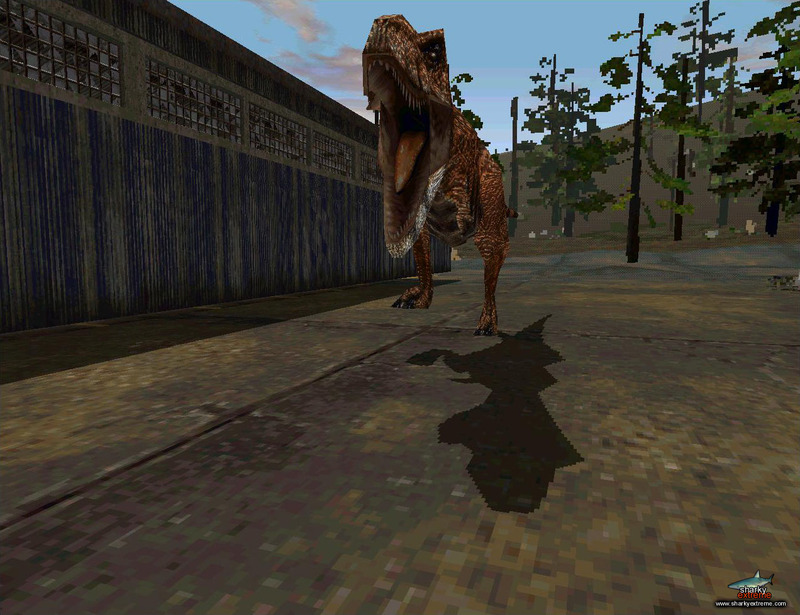 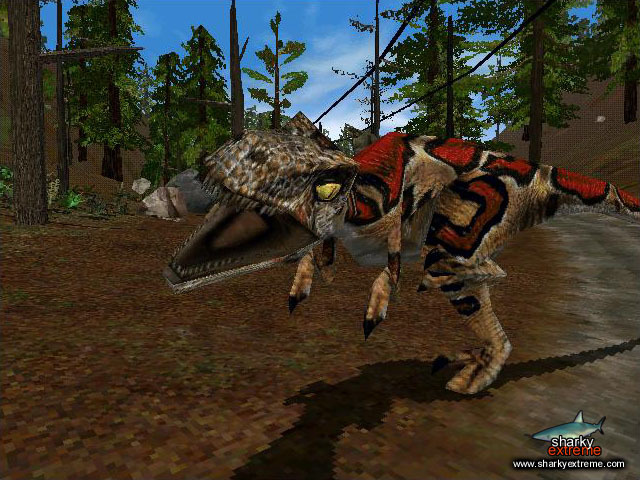 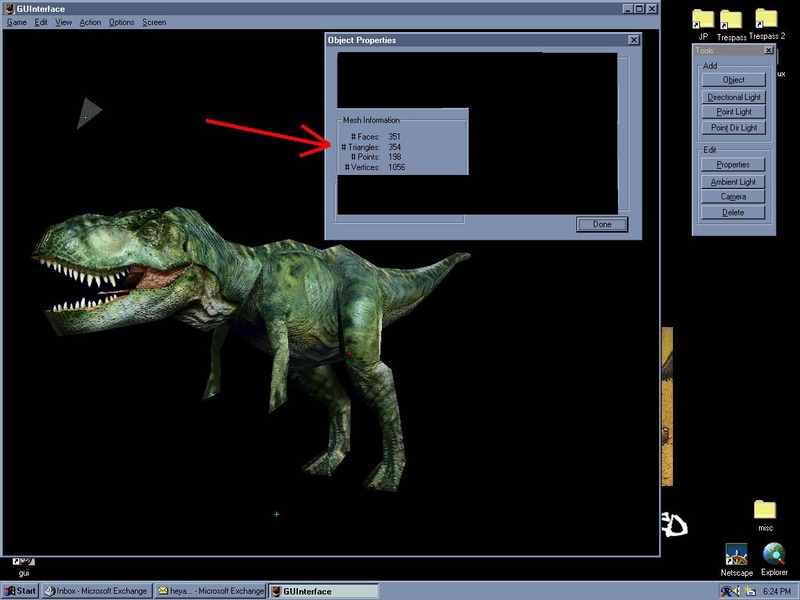 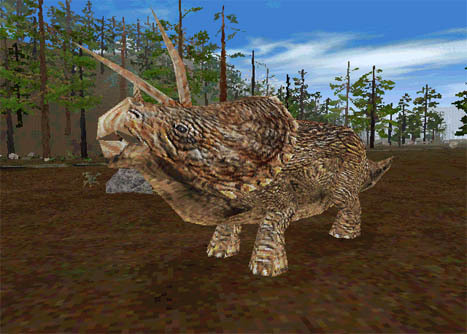 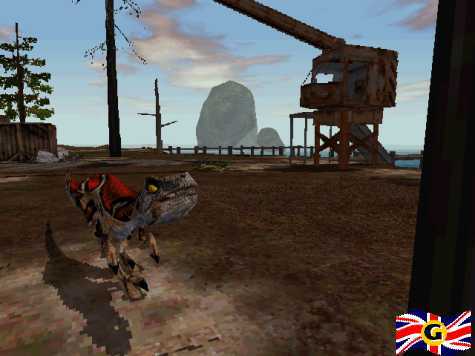 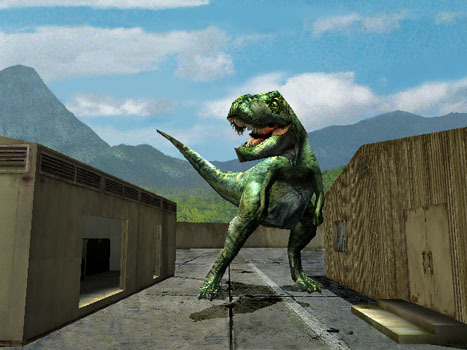 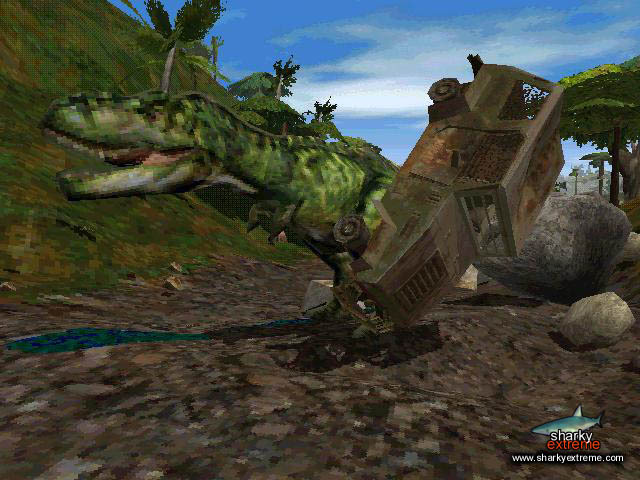 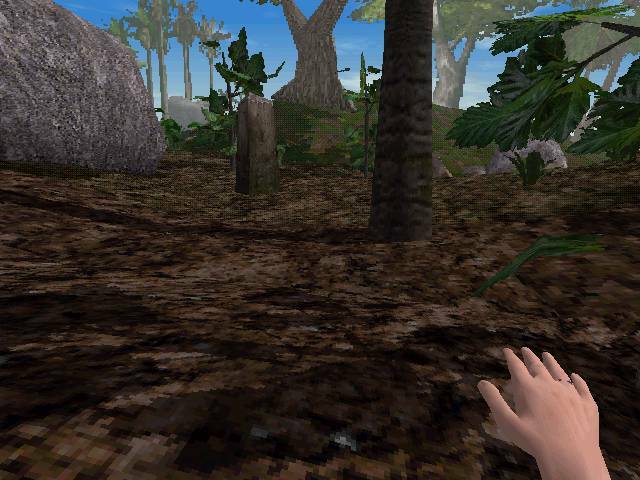 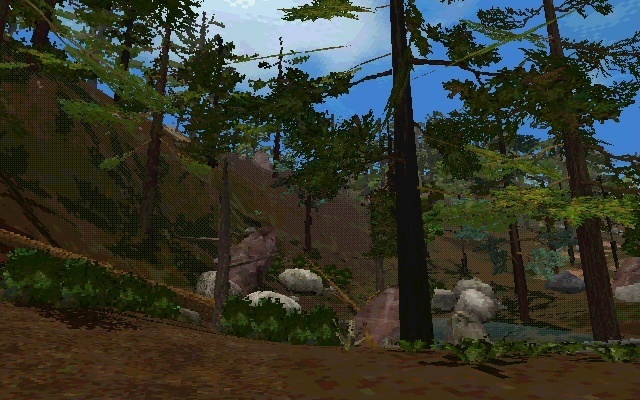 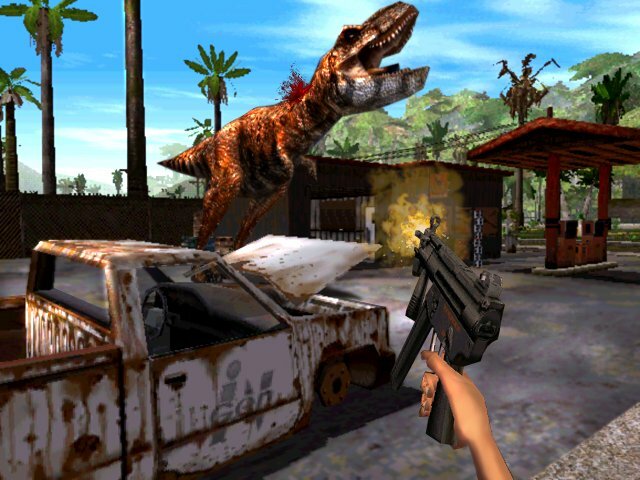 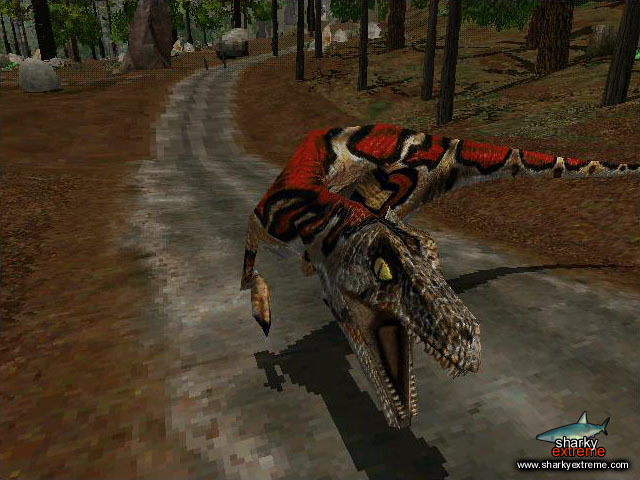 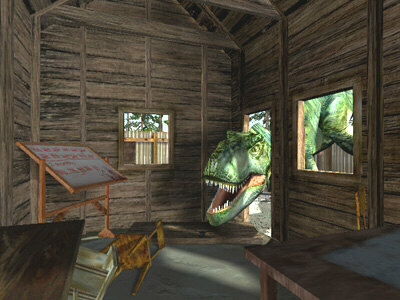 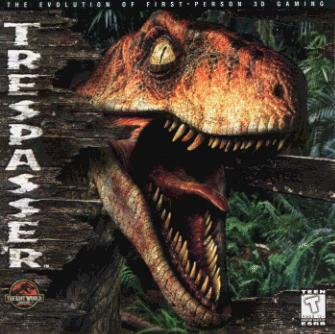 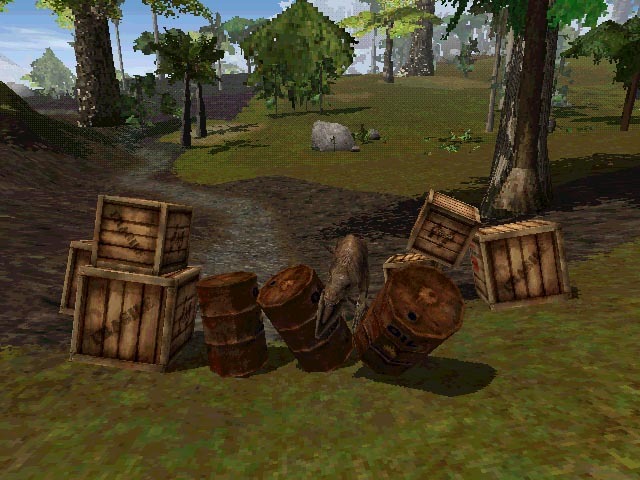 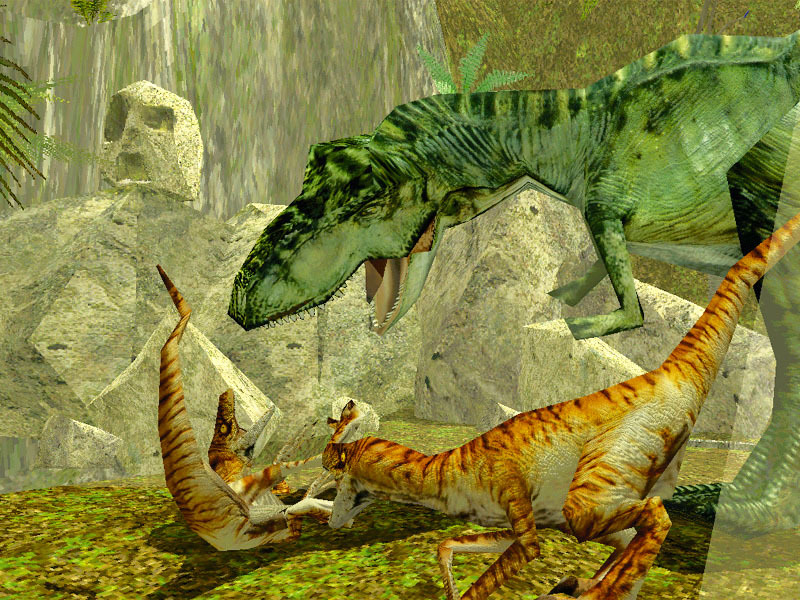 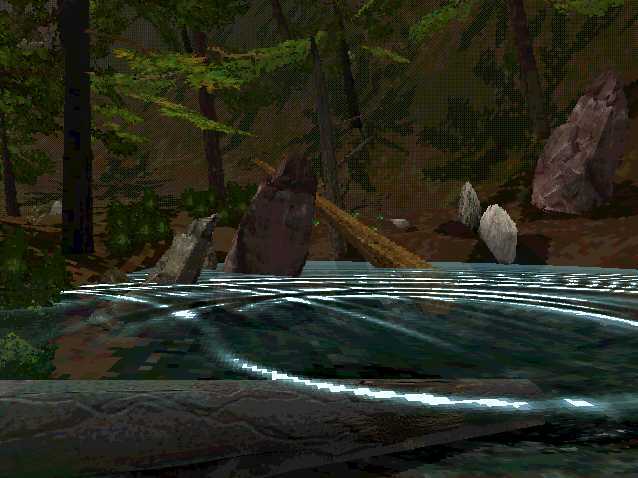 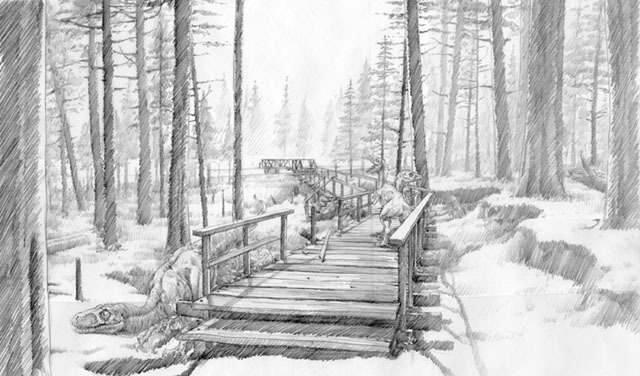 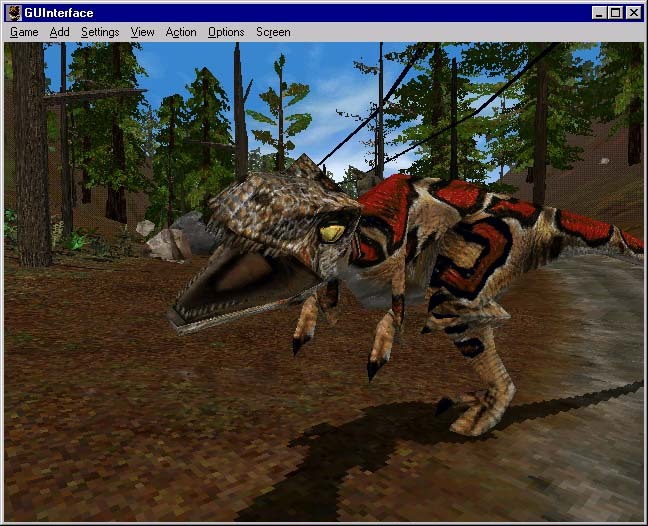 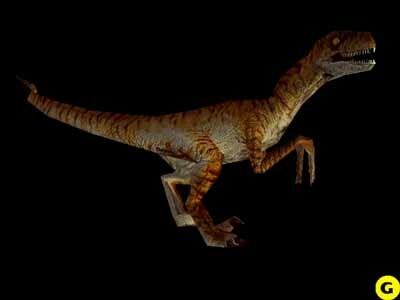 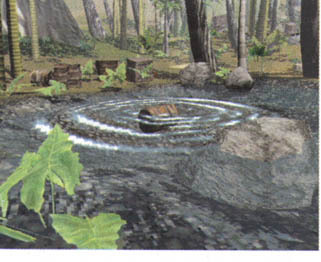 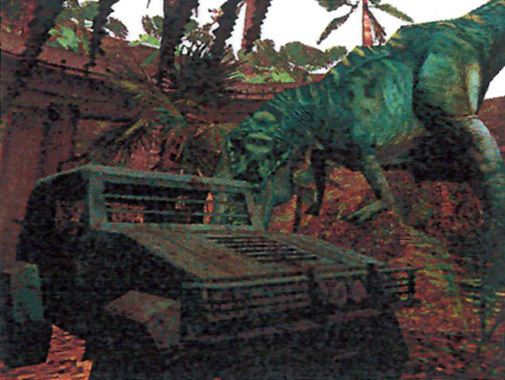 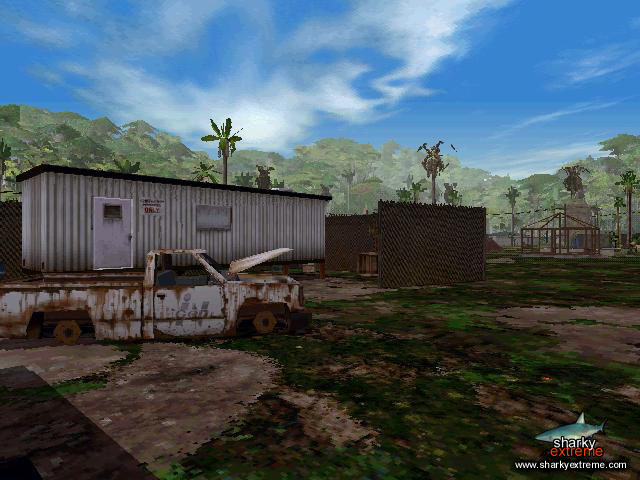 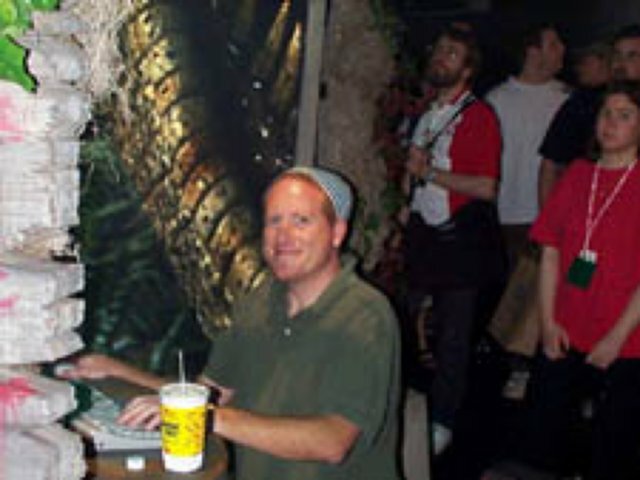 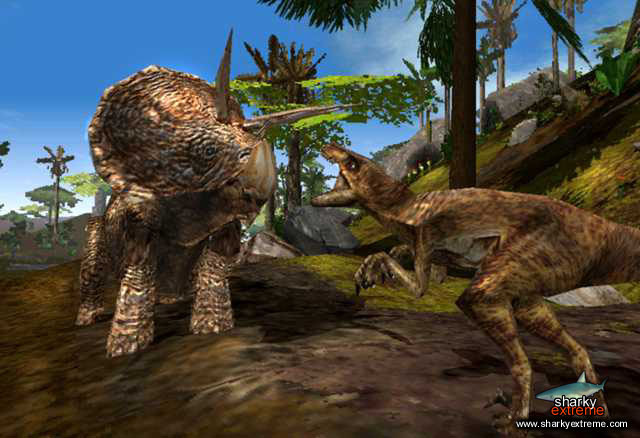 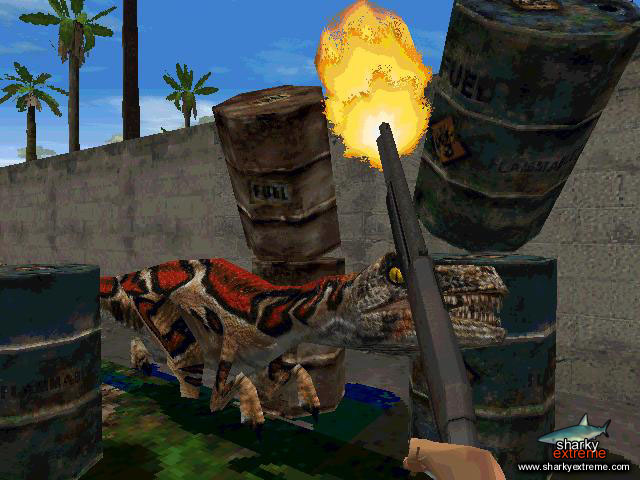 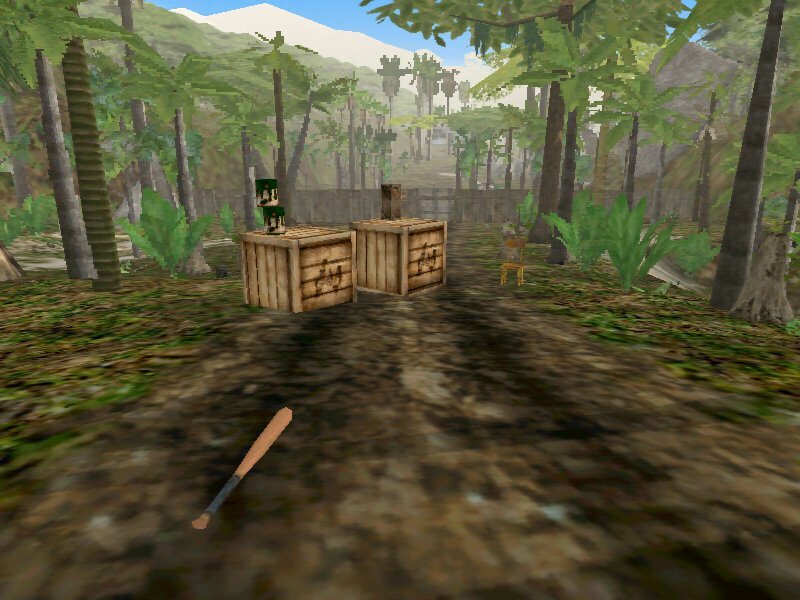 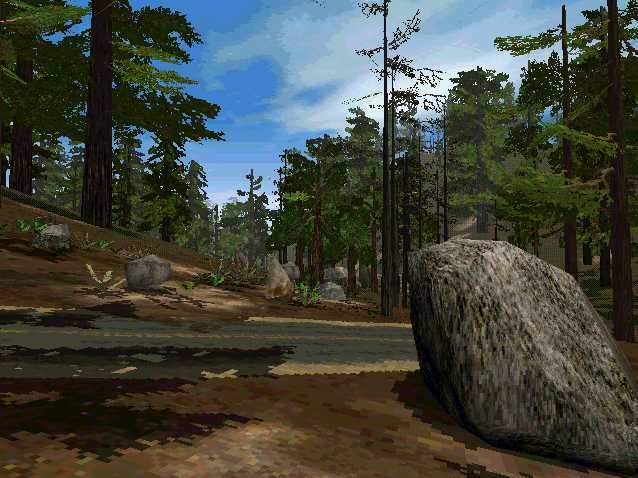 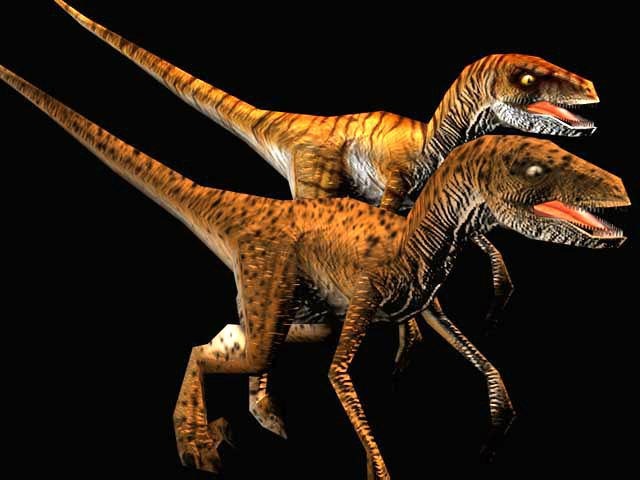 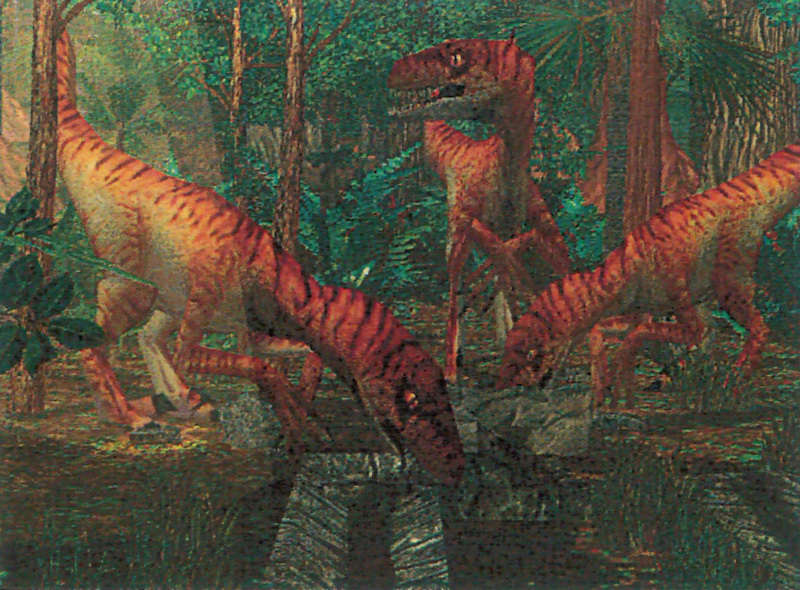 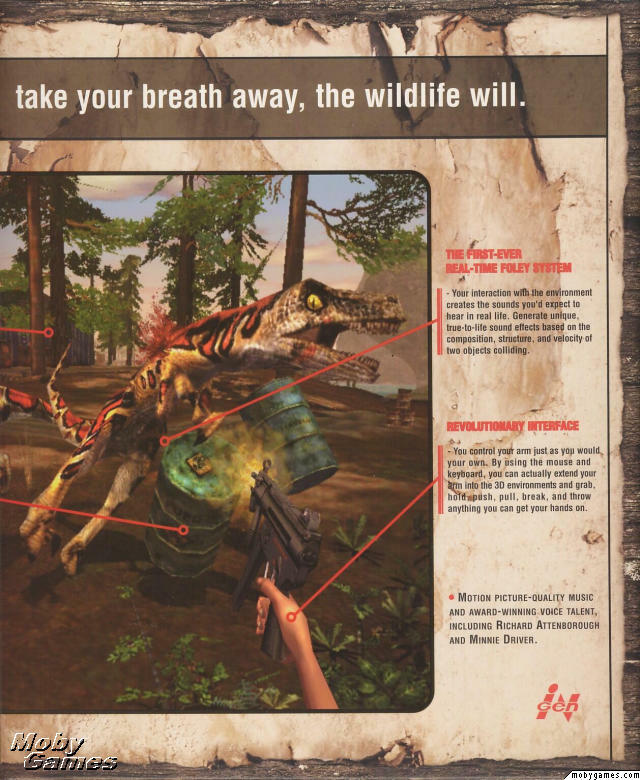 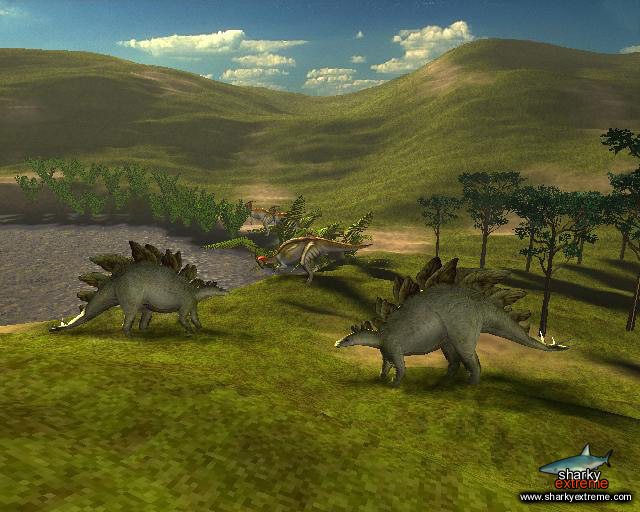 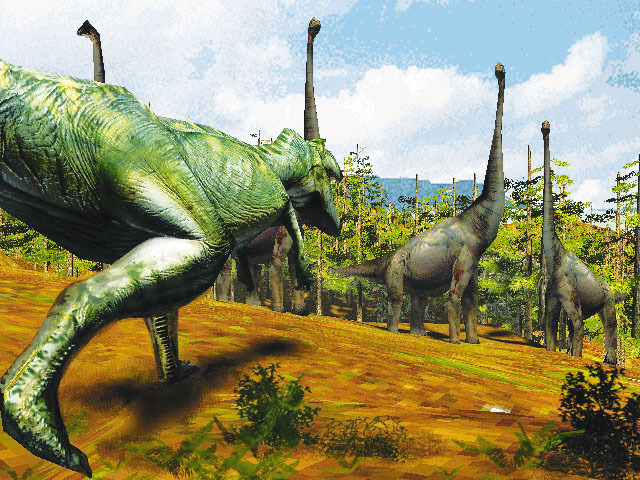 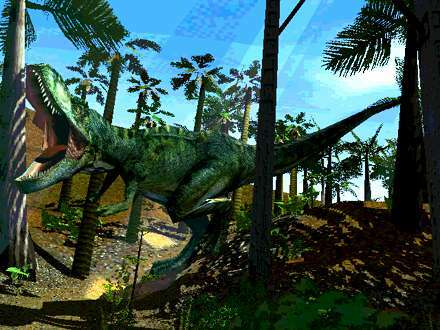 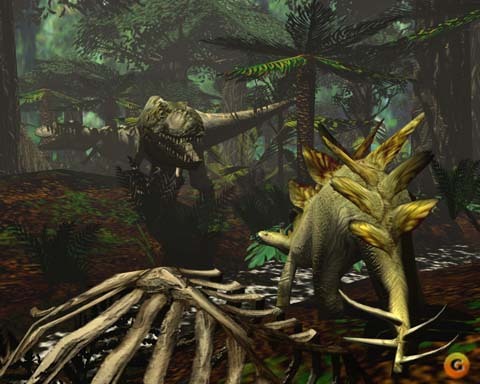 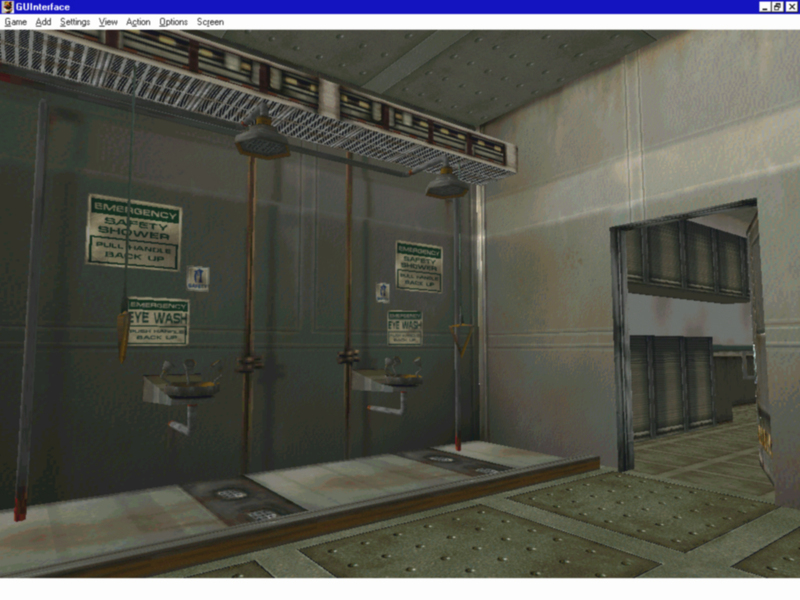 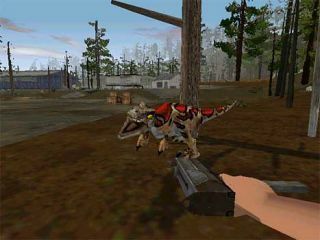 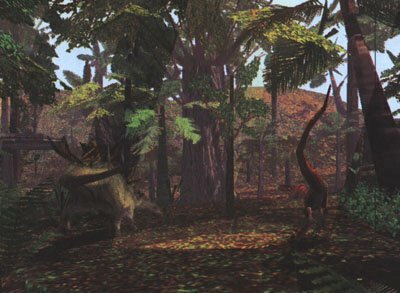 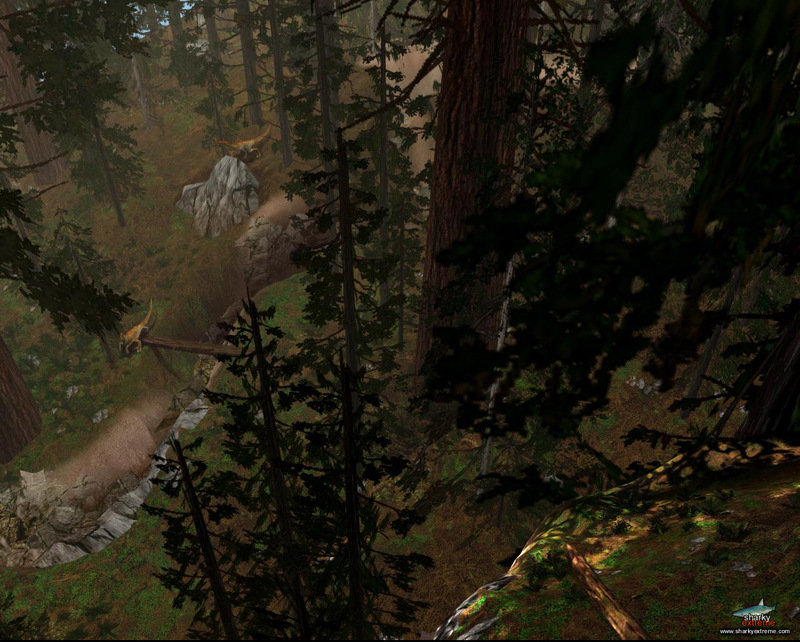 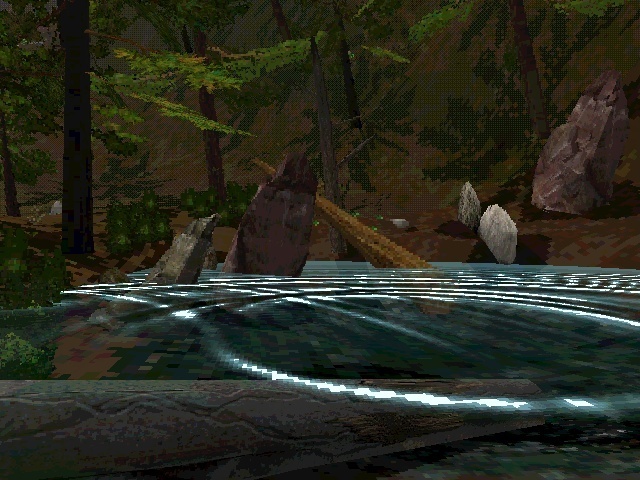 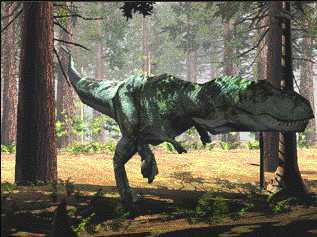 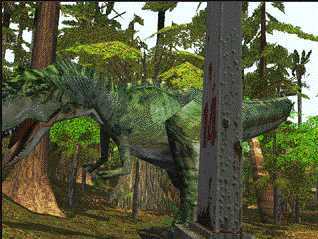 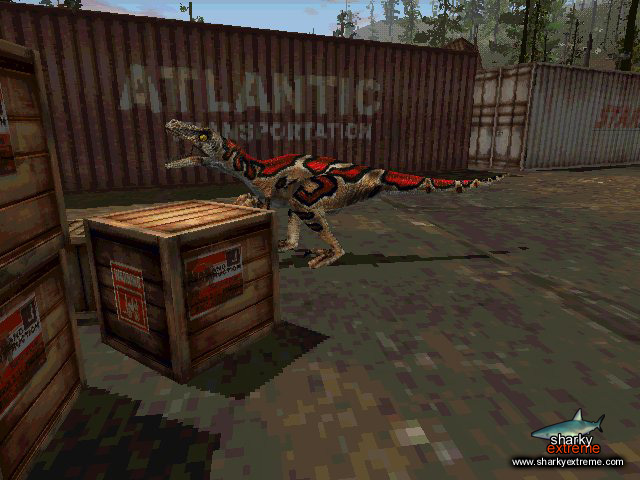 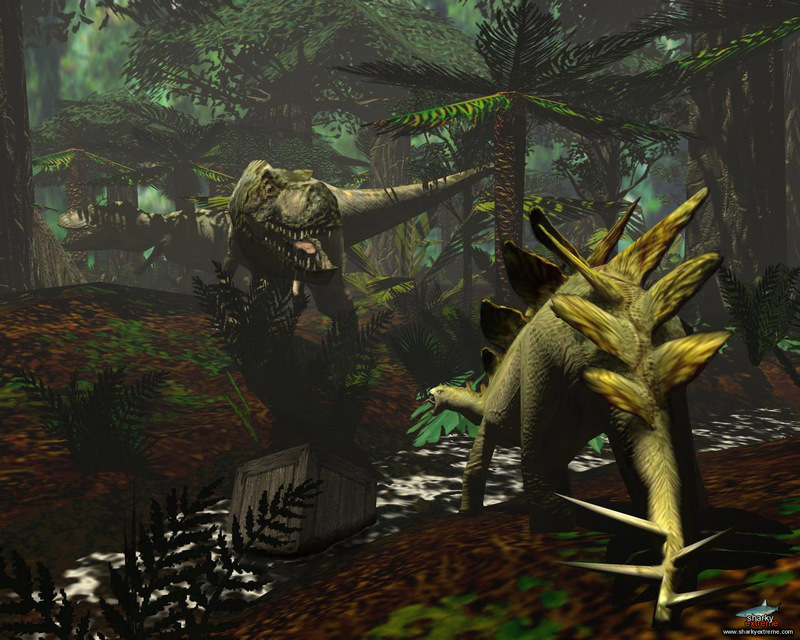 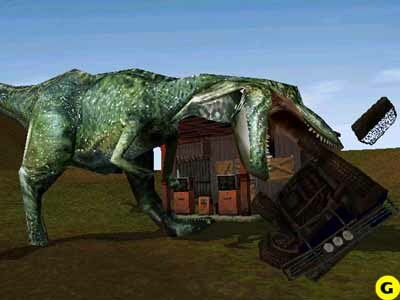 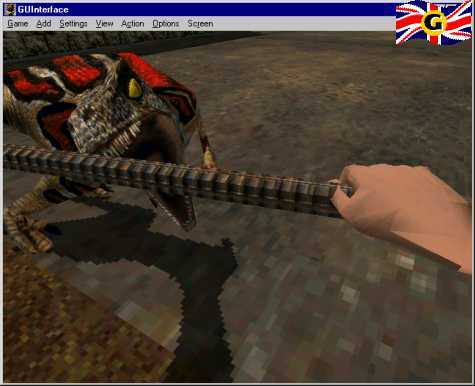 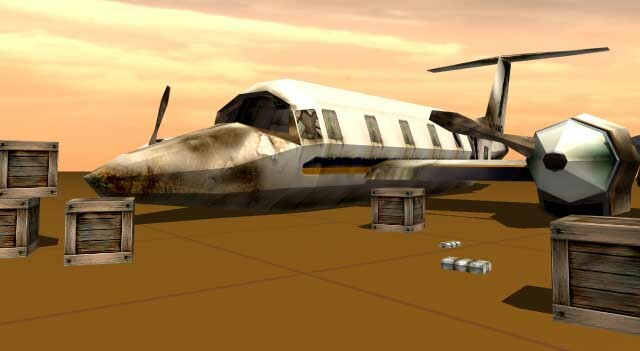 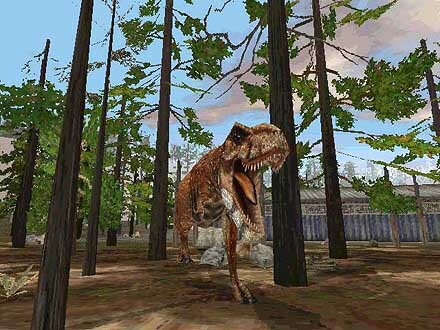 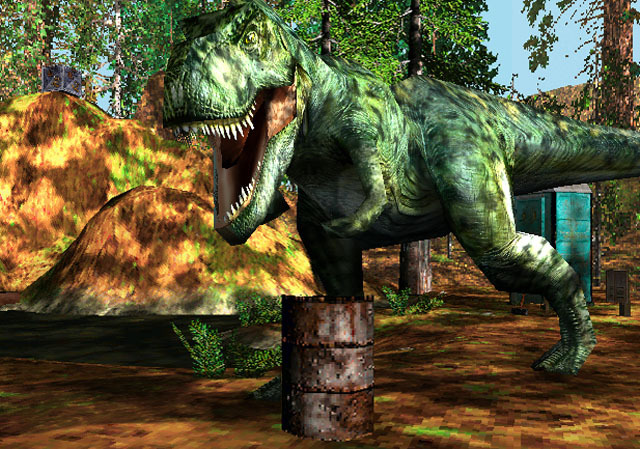 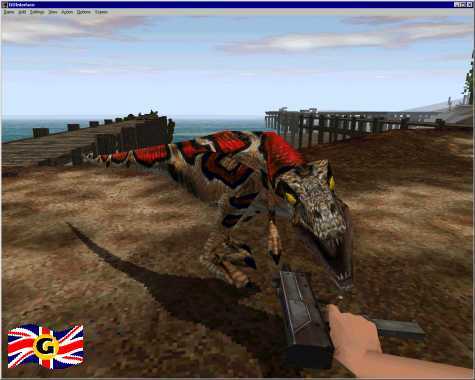 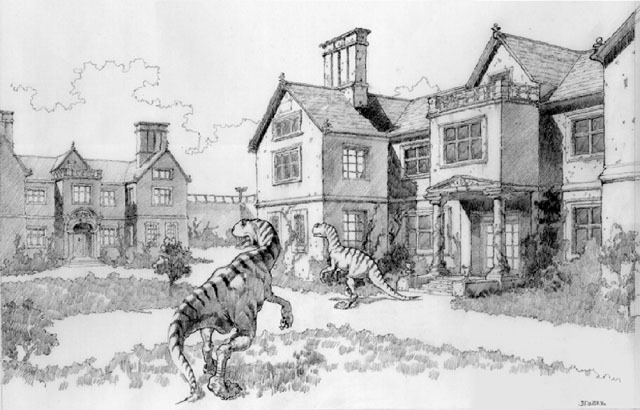 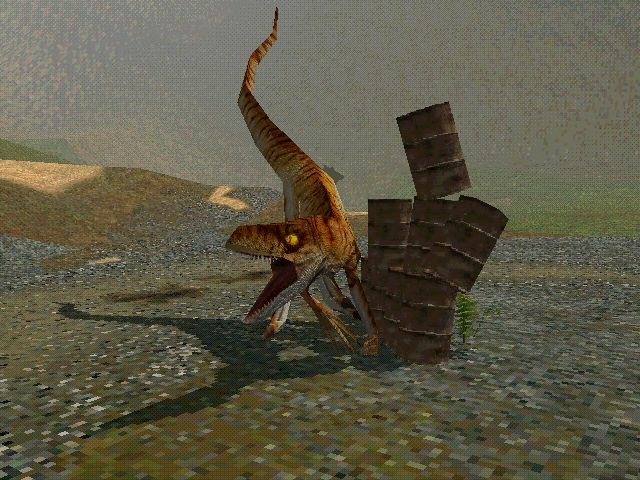 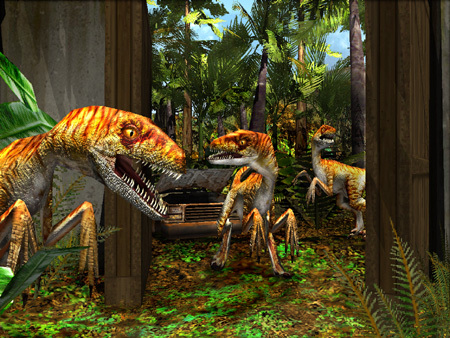 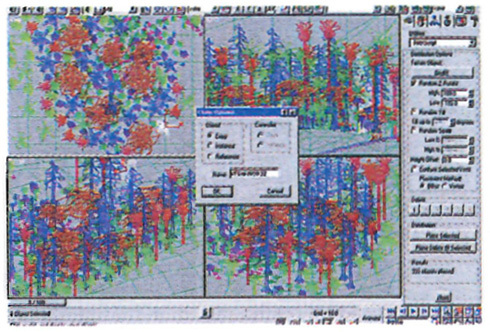 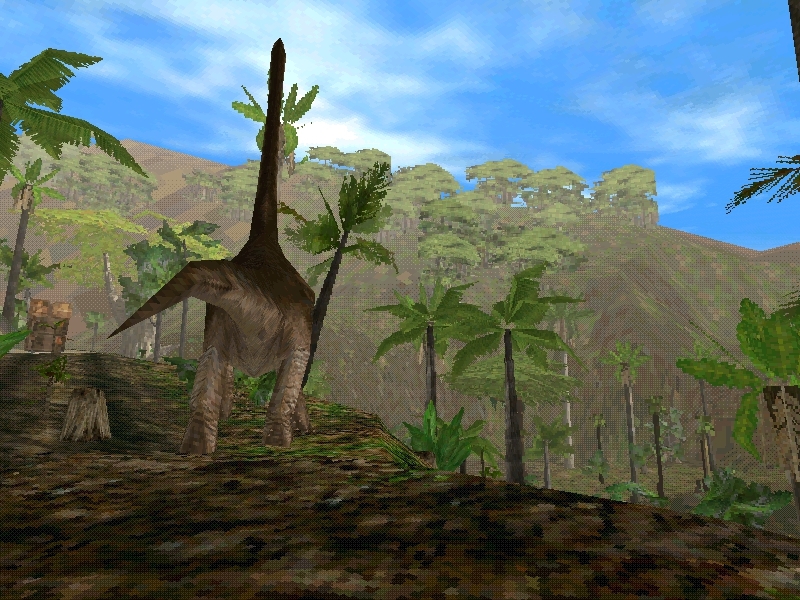 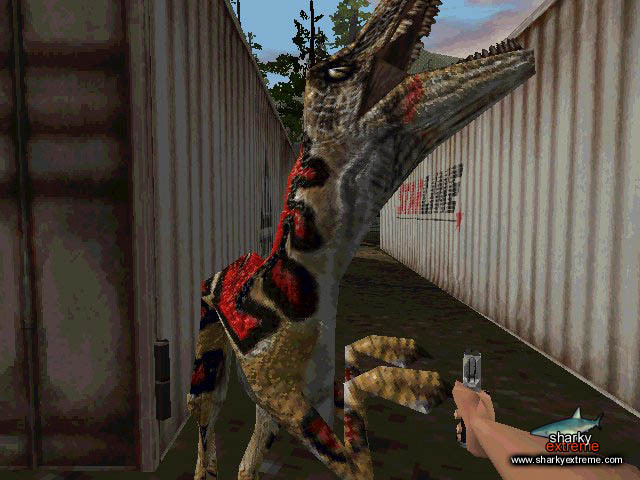 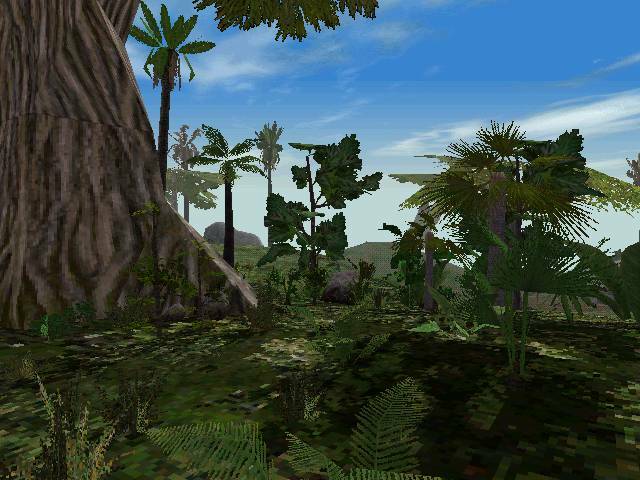 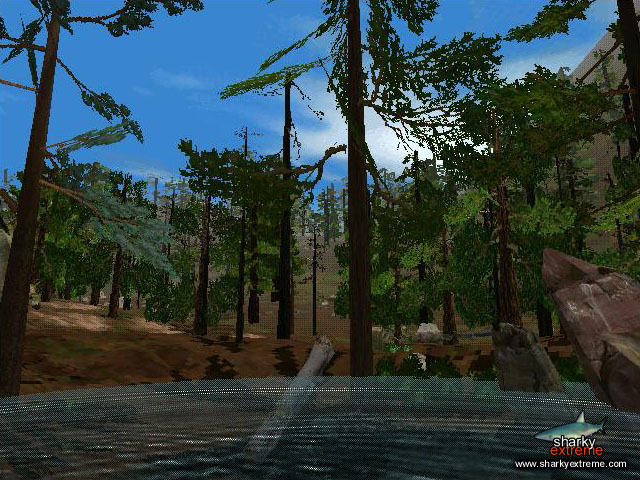 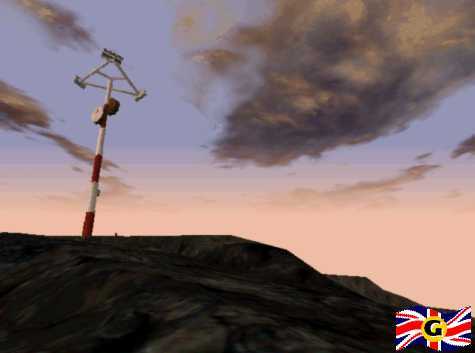 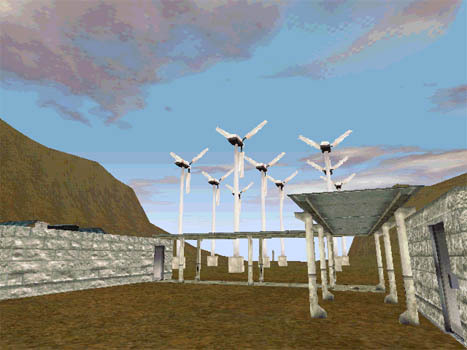 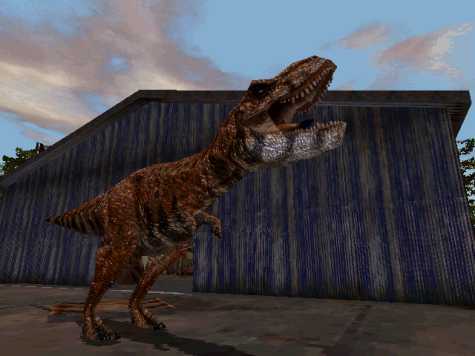 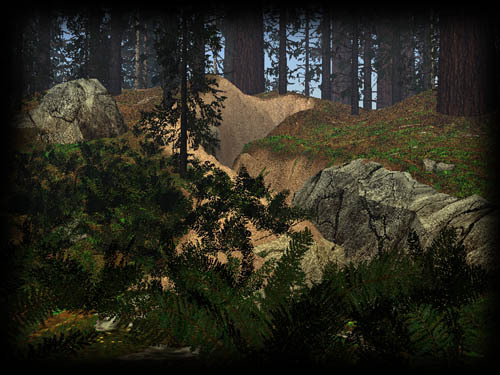 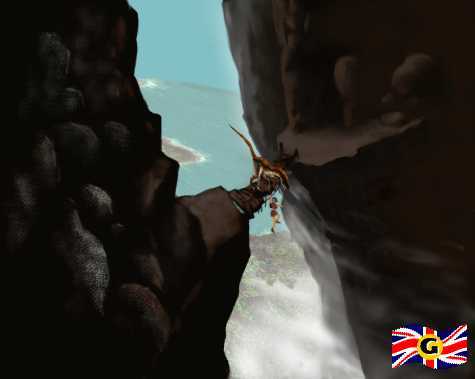 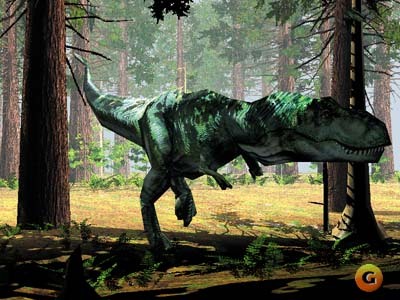 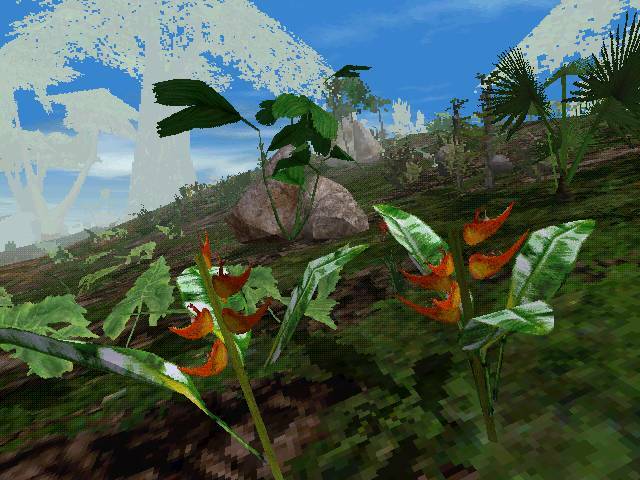 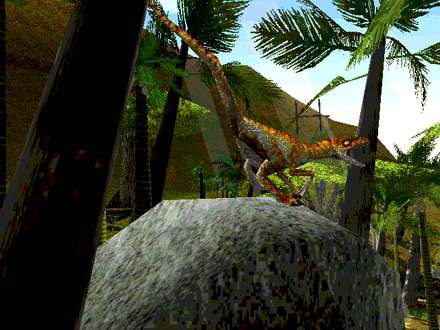 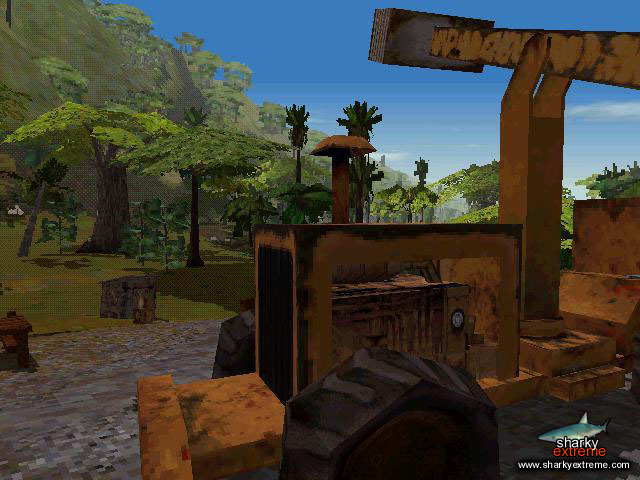 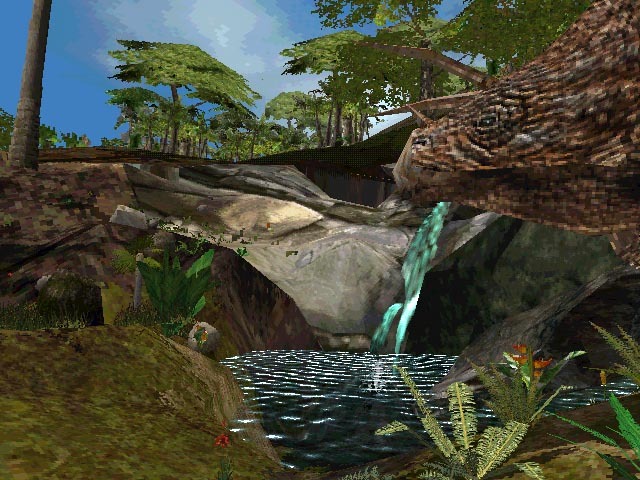 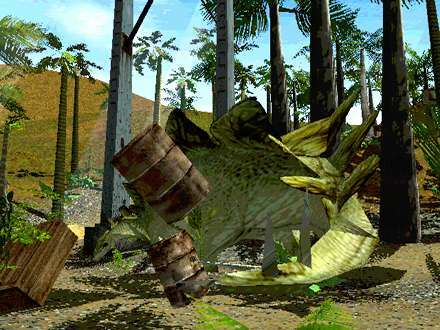 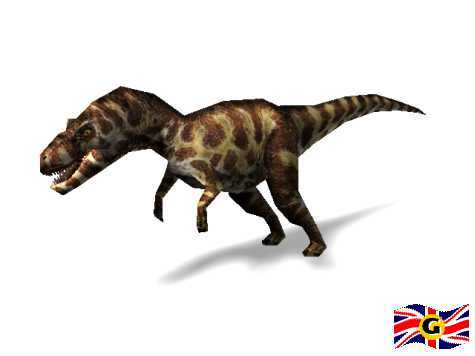 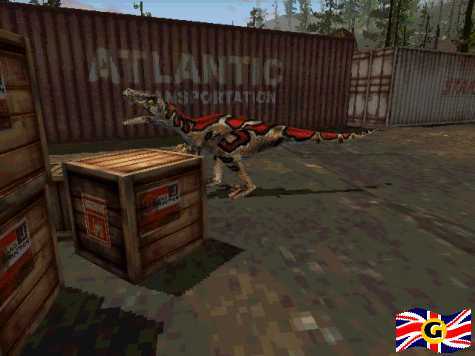 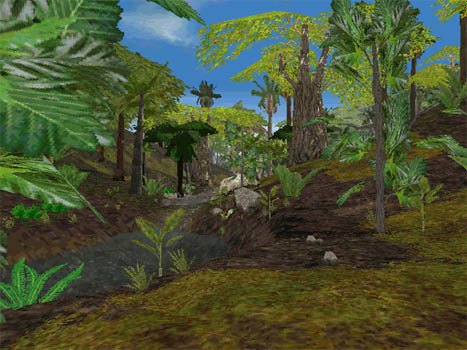 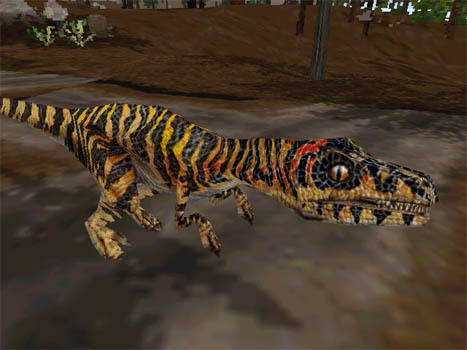 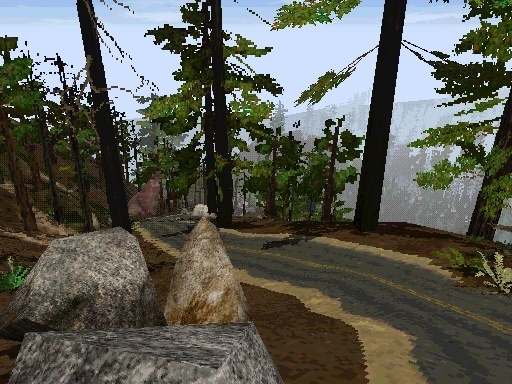 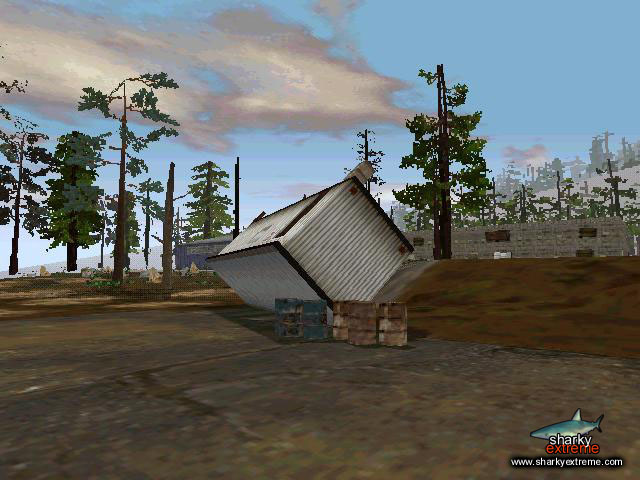 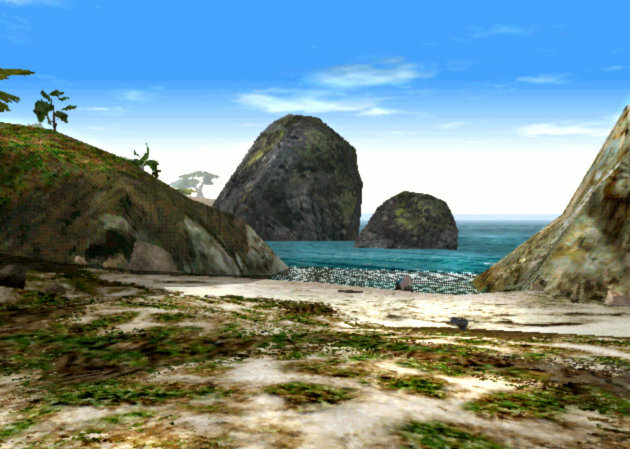 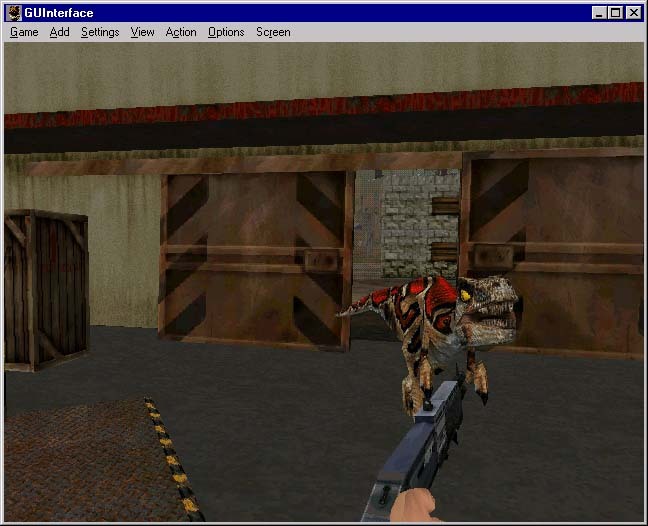 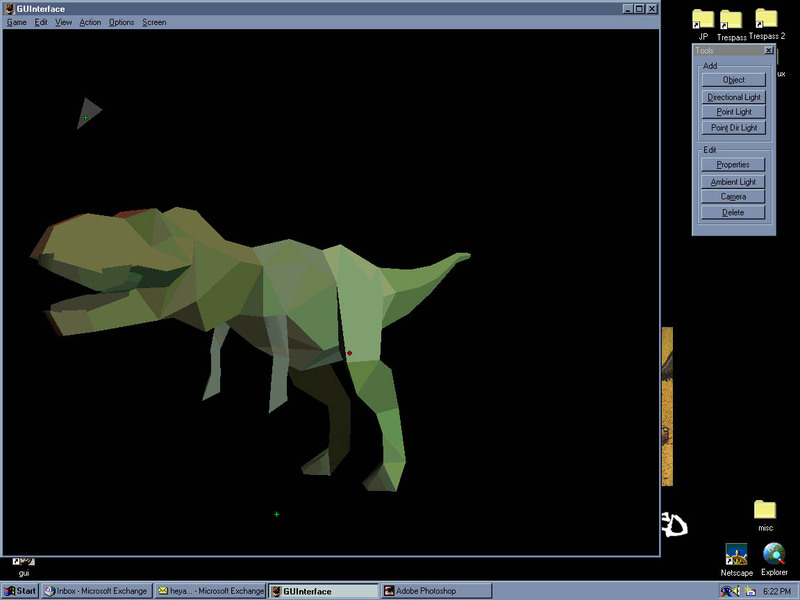 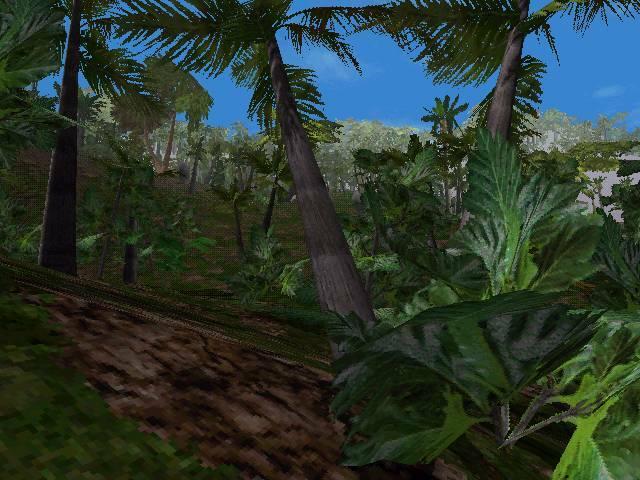 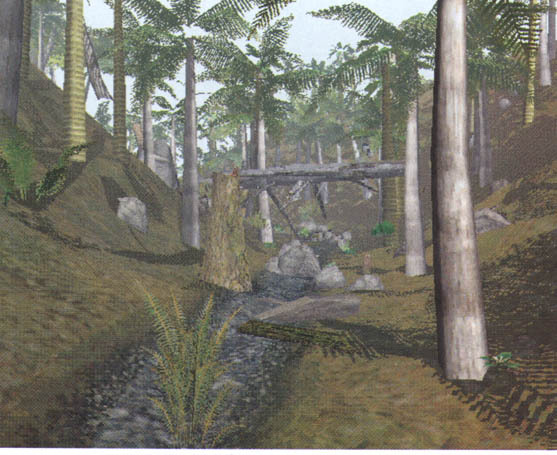 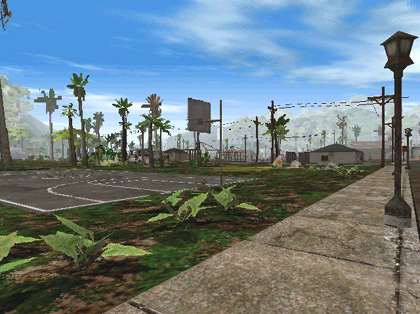 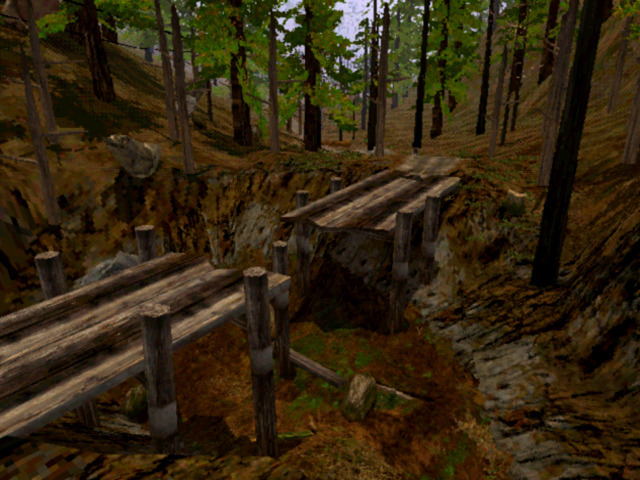 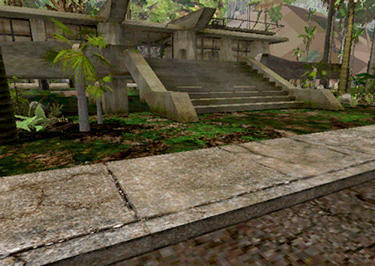 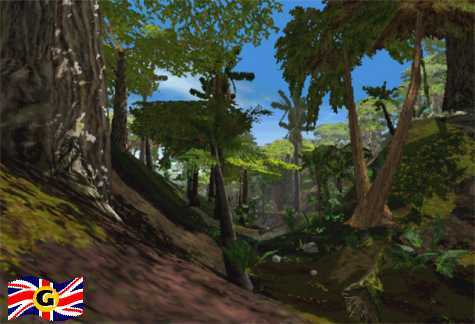 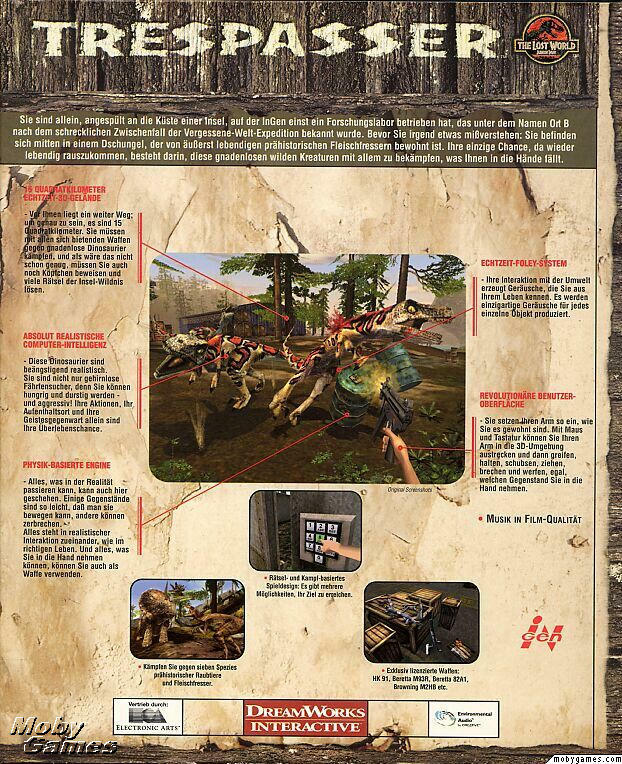 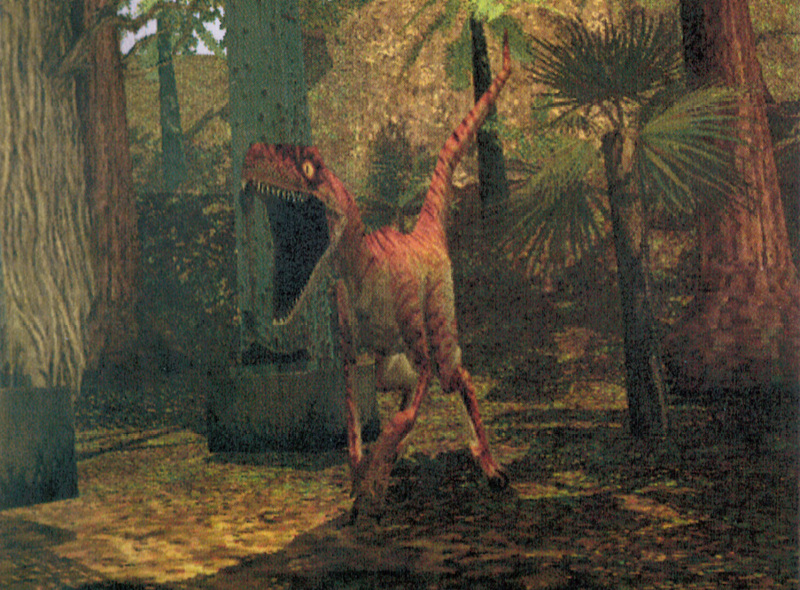 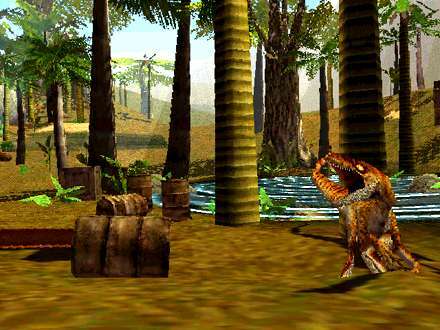 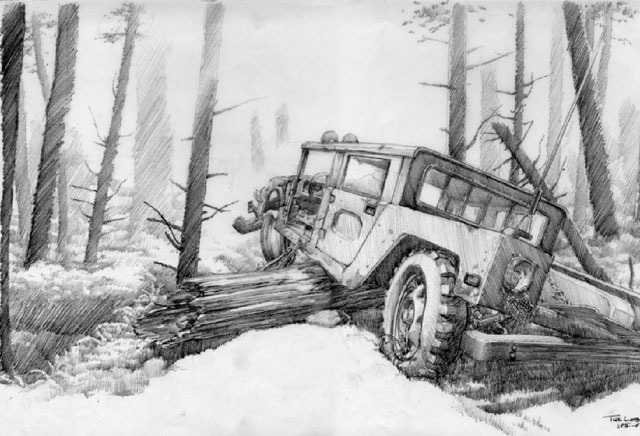 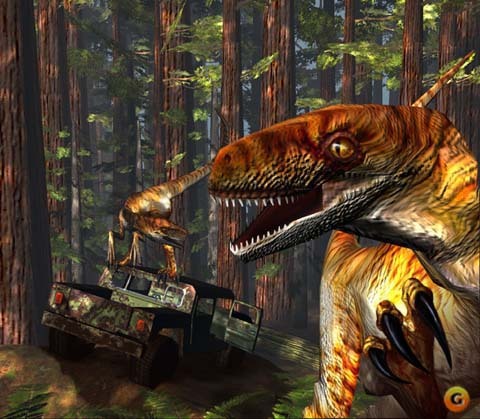 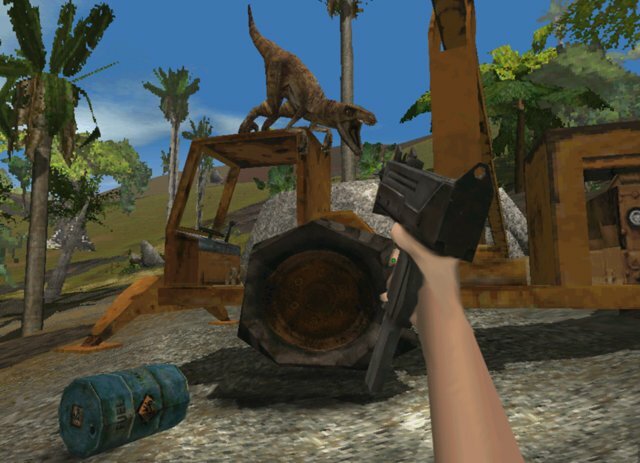 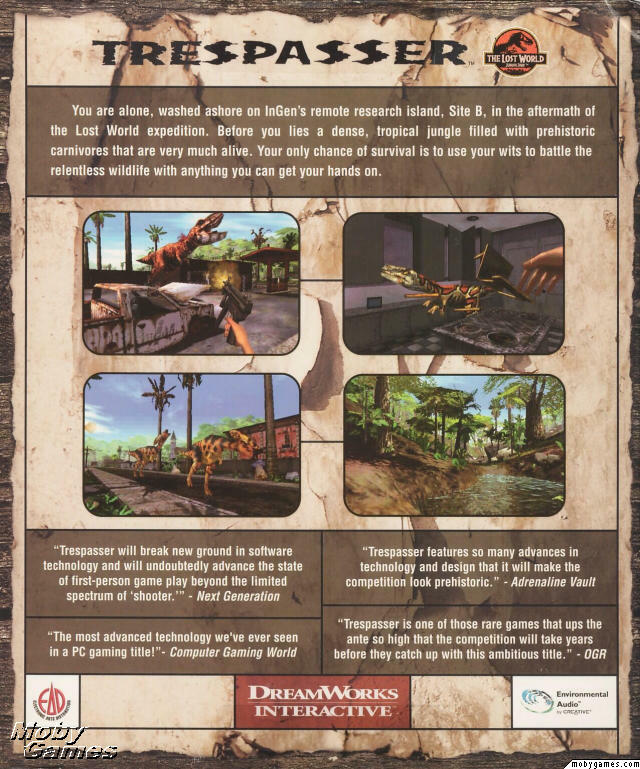 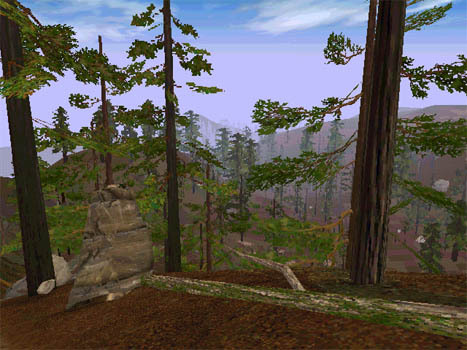 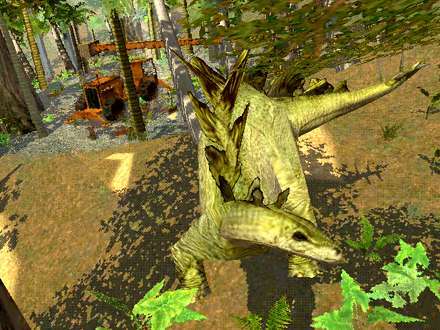 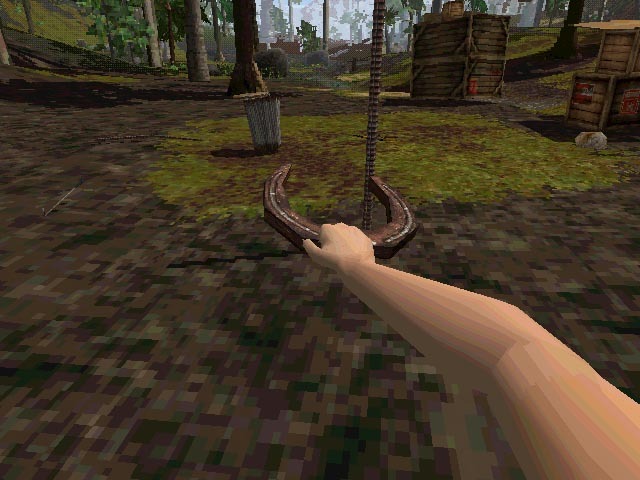 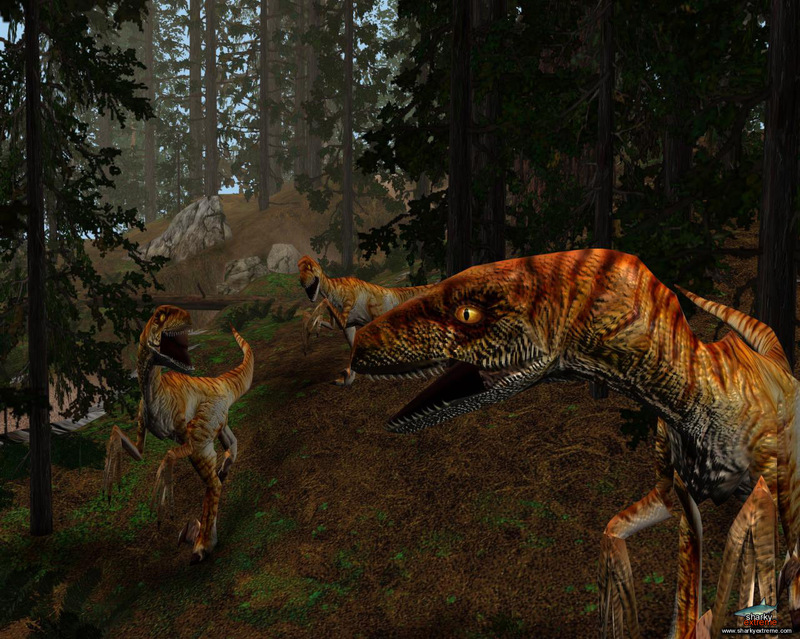 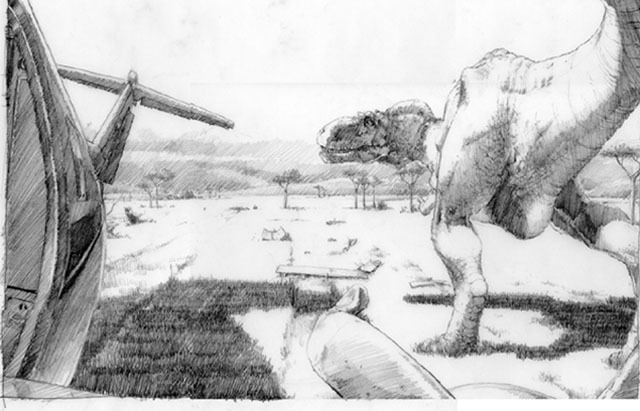 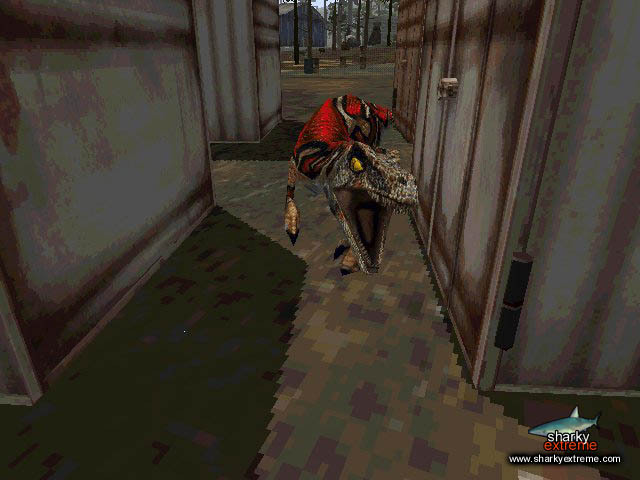 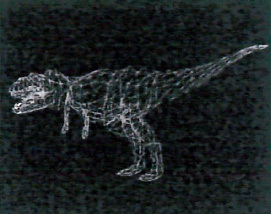 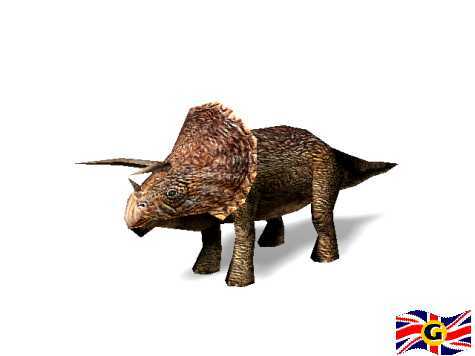 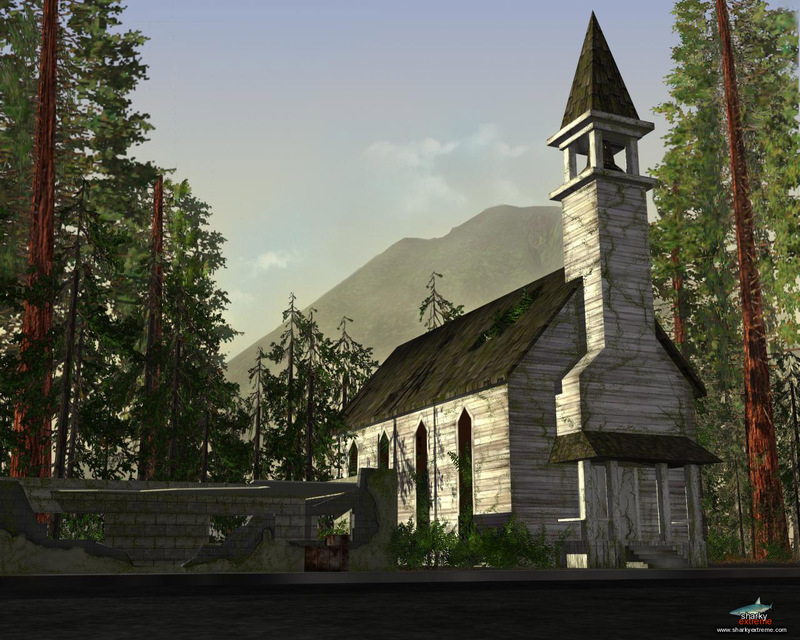 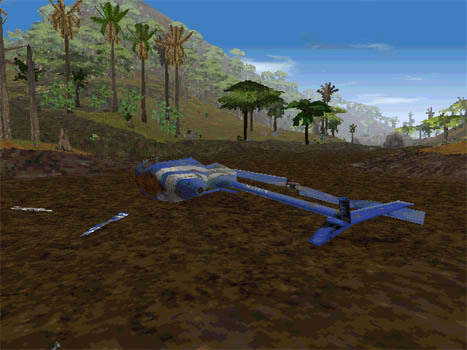 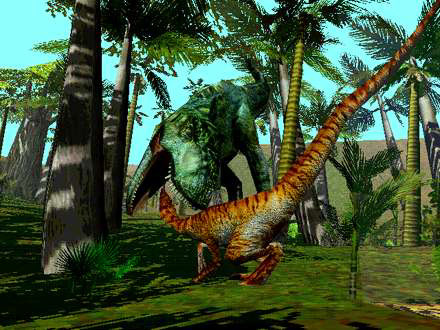 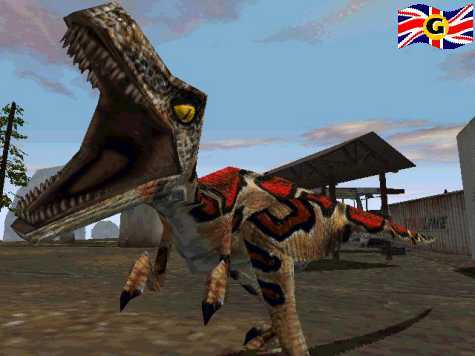 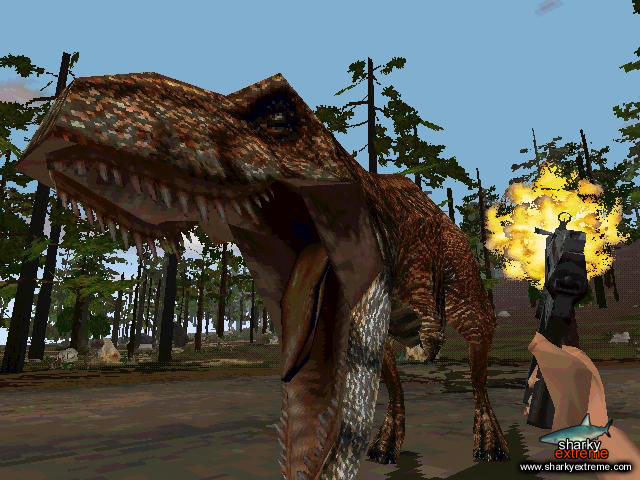 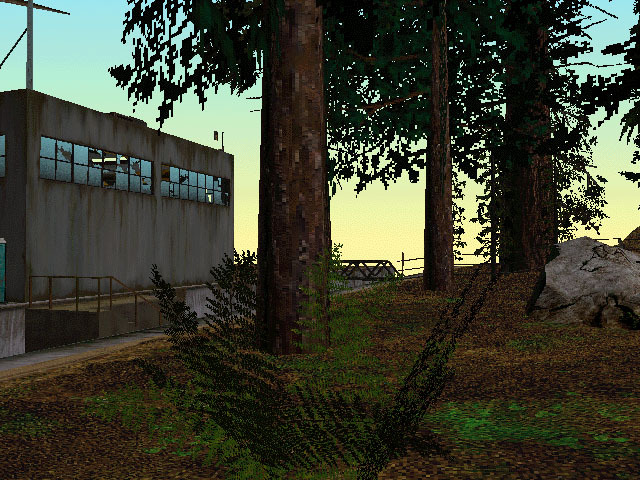 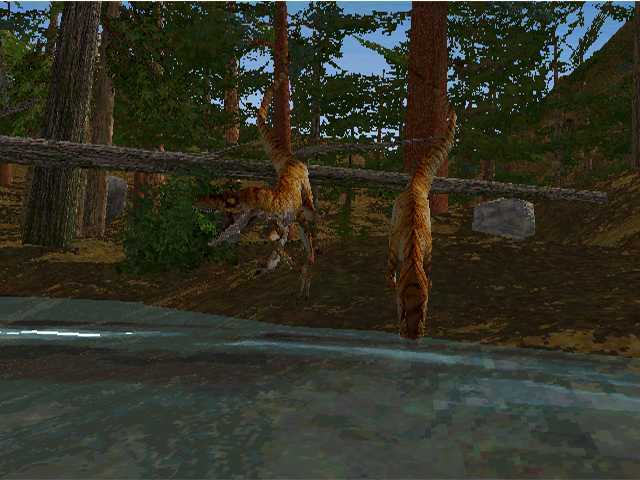 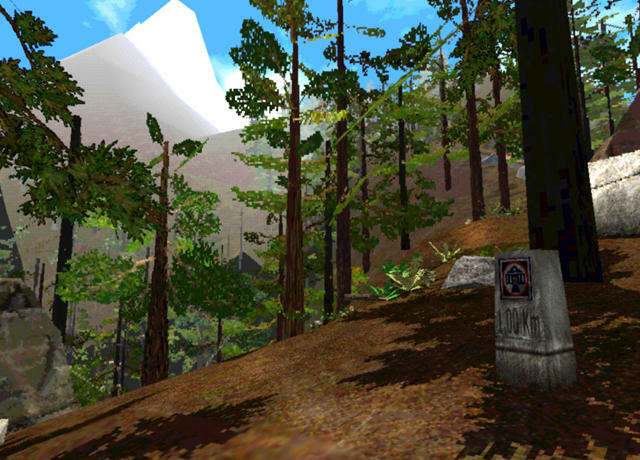 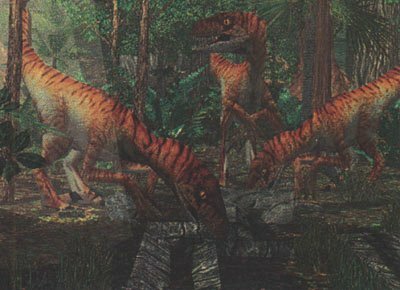 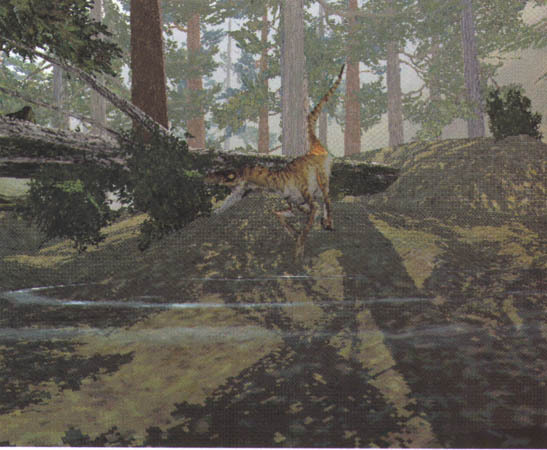 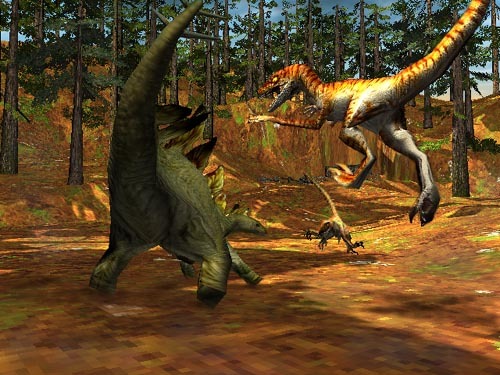 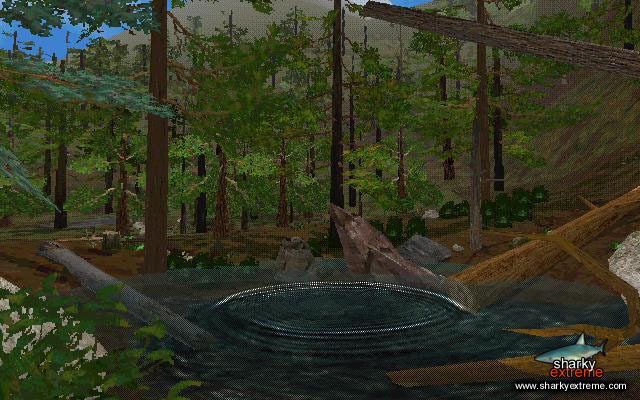 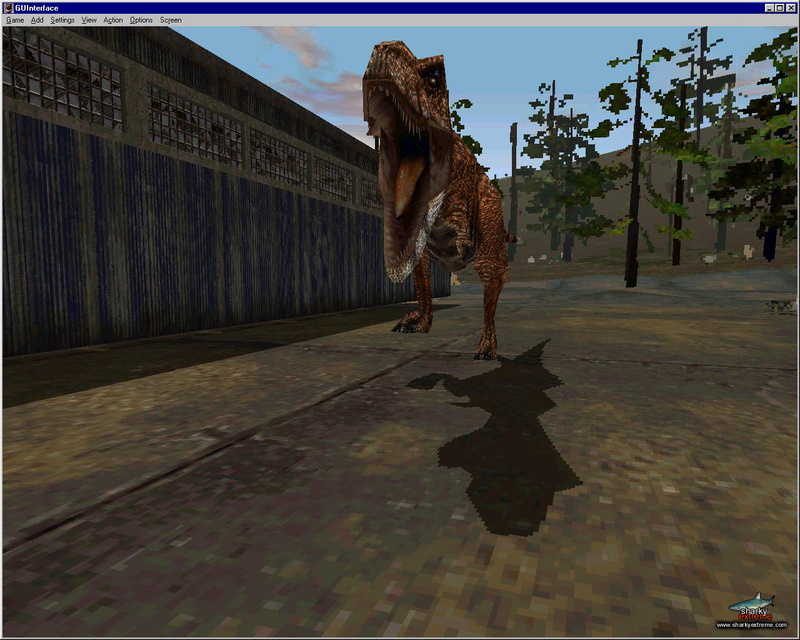 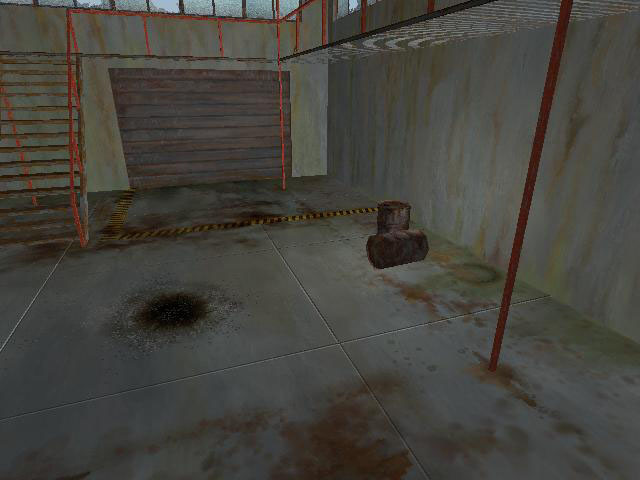 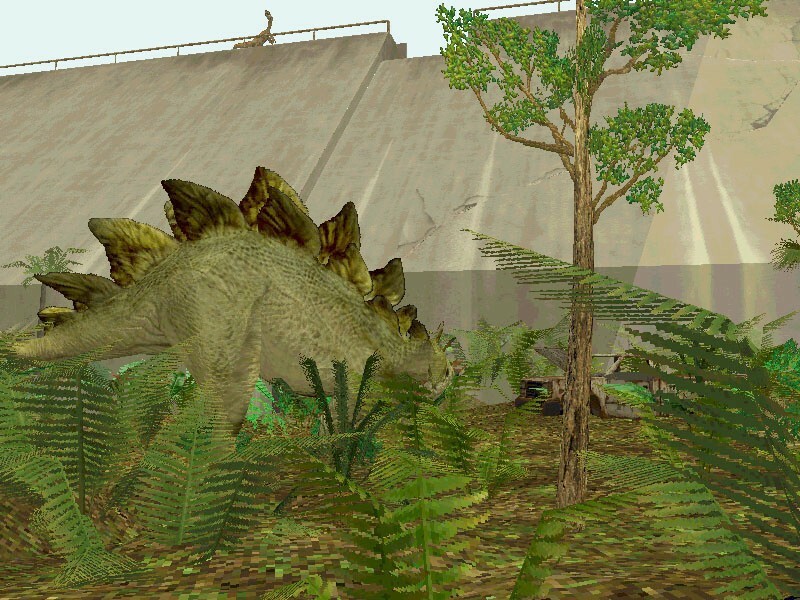 This page contains images made by DreamWorks Interactive during the days Trespasser was developed. 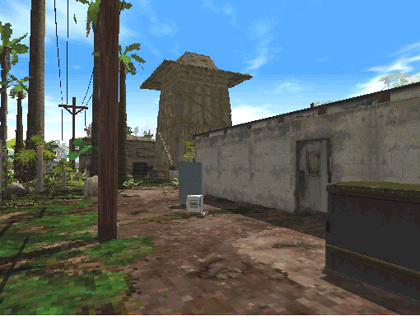 Most of them are taken before the game was finished, and some are from levels that at some point during development cut from the game. 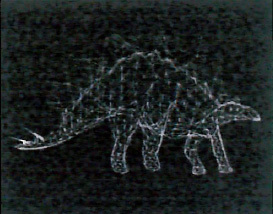 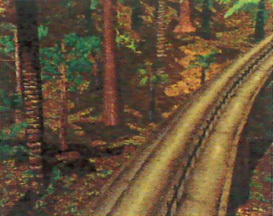 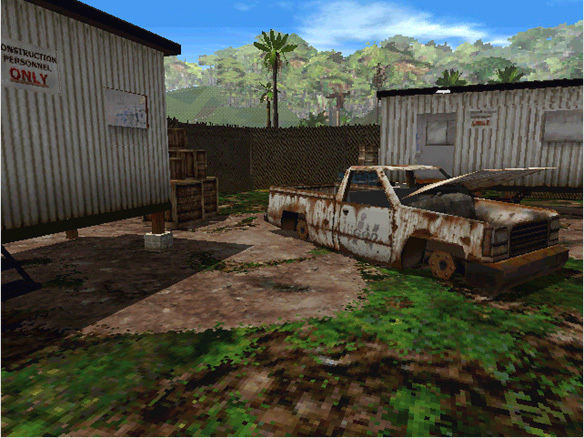 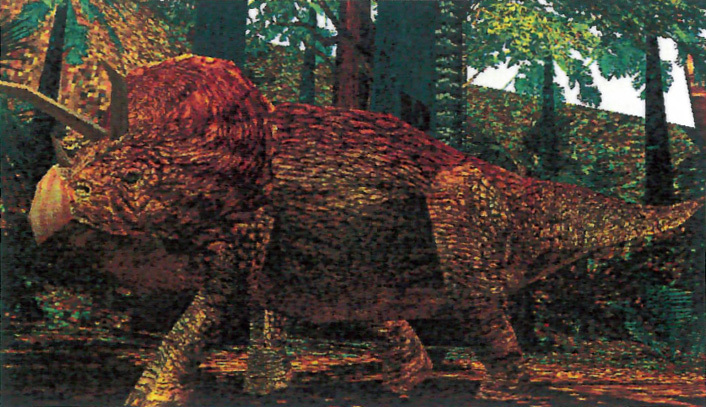 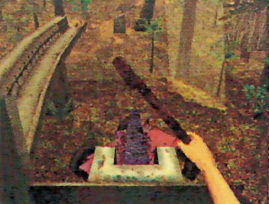 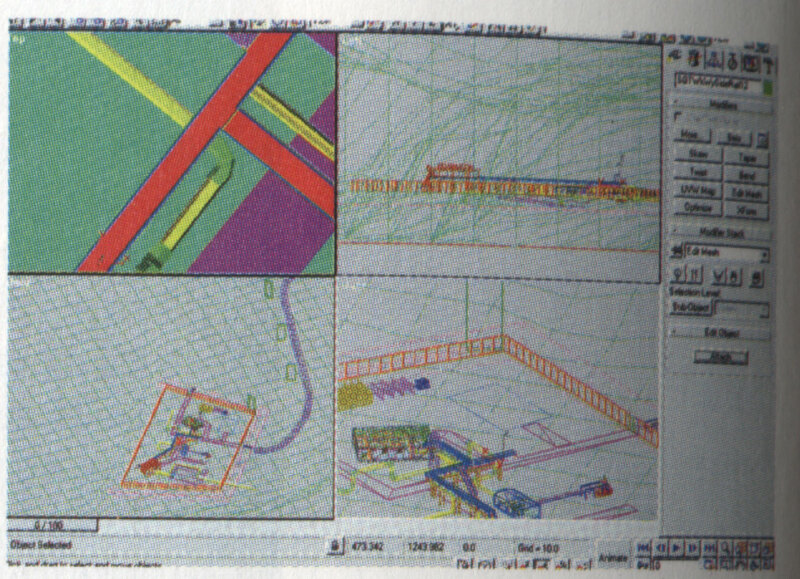 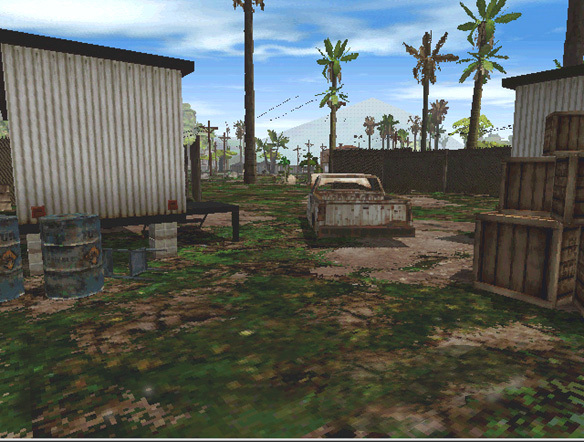 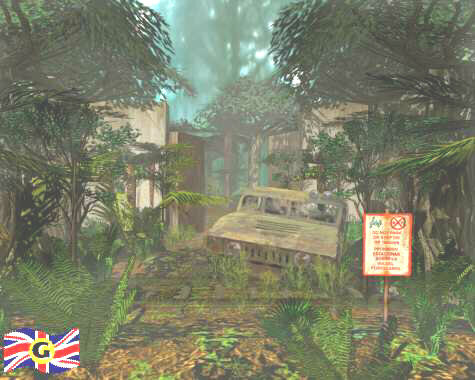 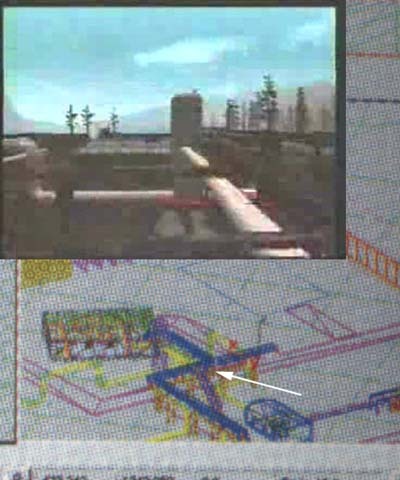 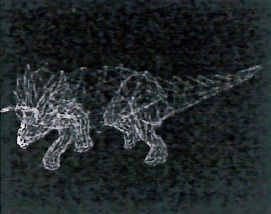 Some images are from early test levels along with possibly render scenes made to to show their vision of the game or the marketing team. 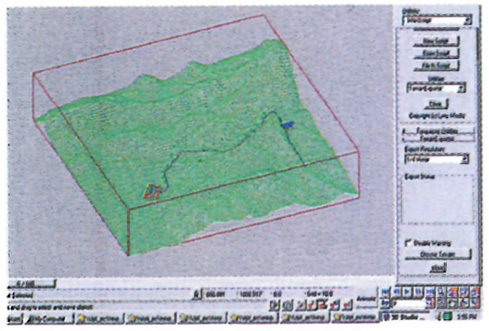 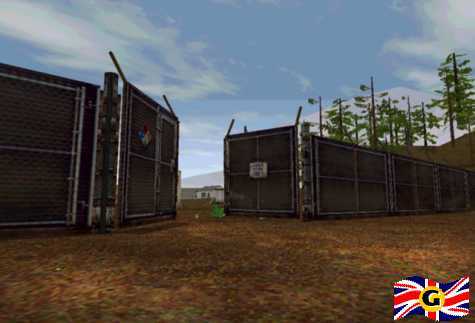 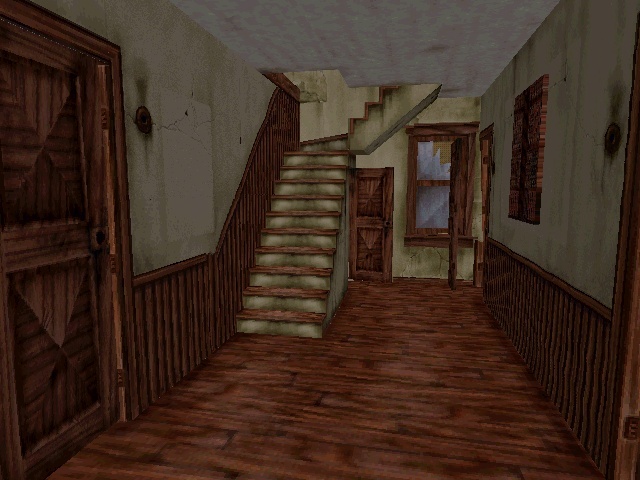 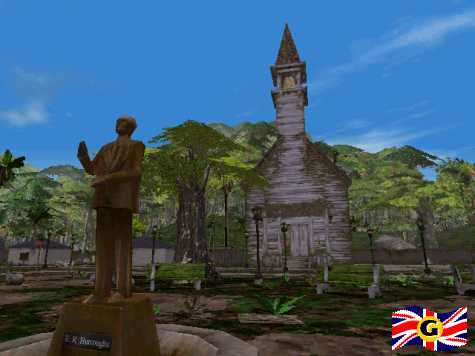 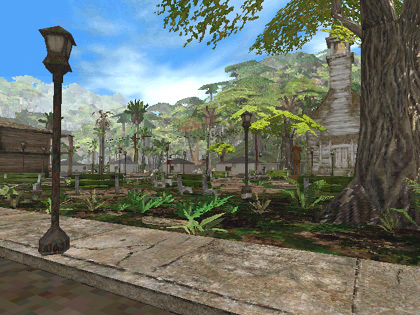 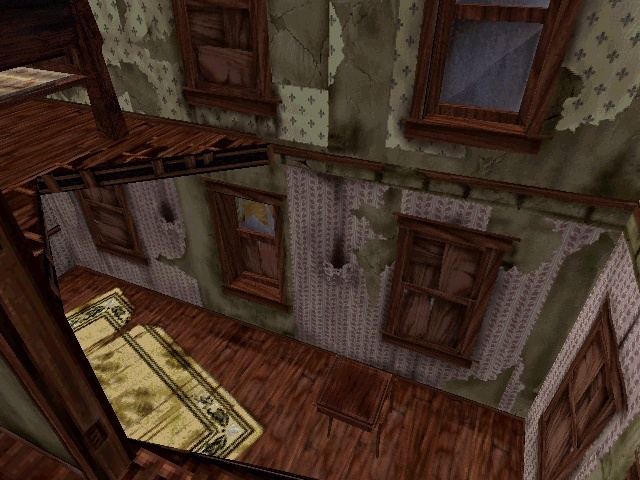 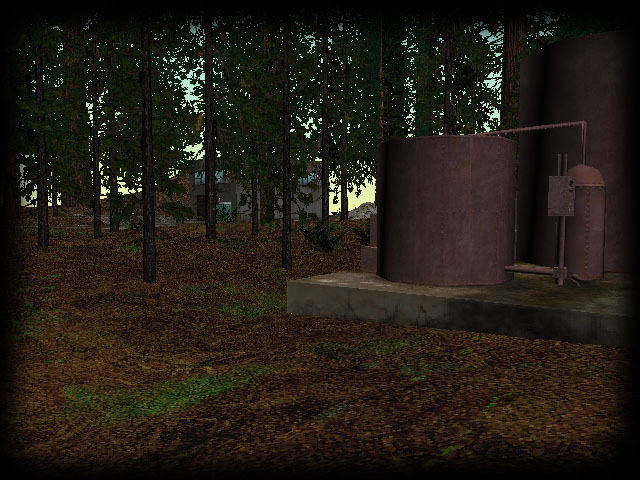 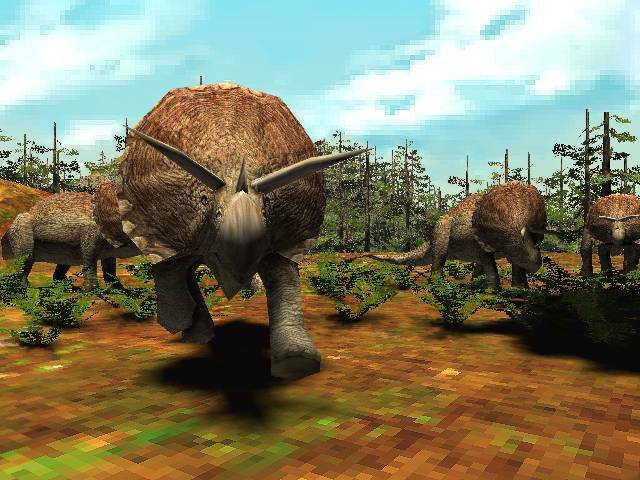 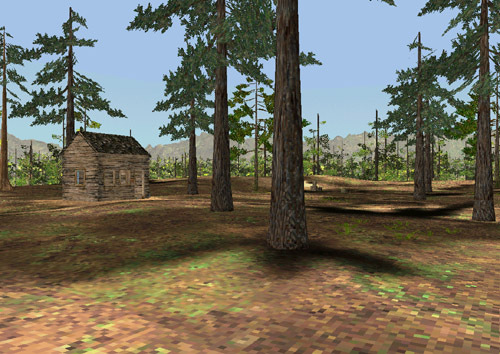 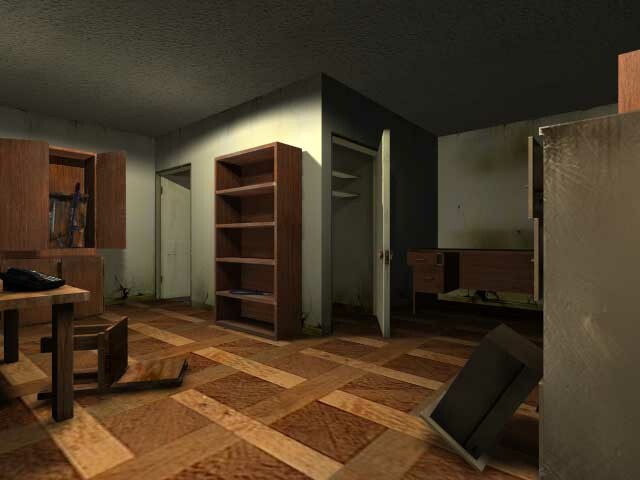 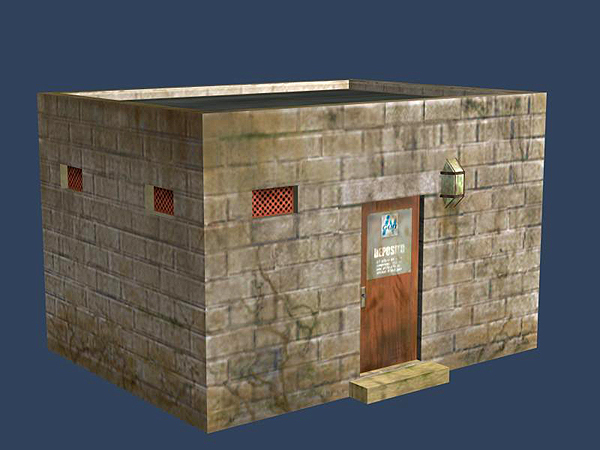 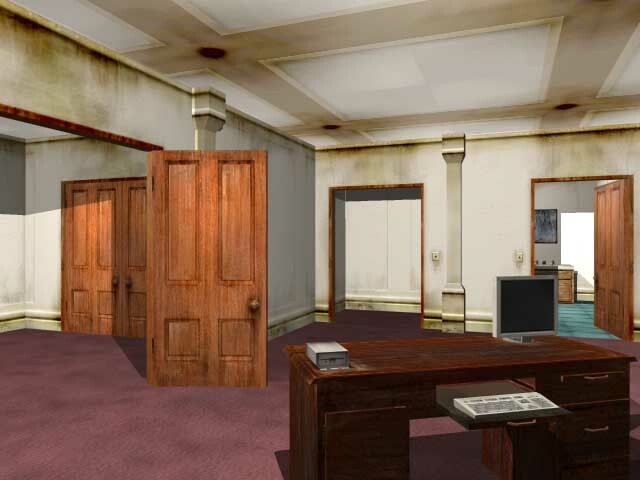 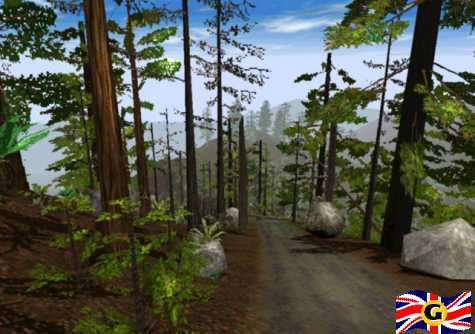 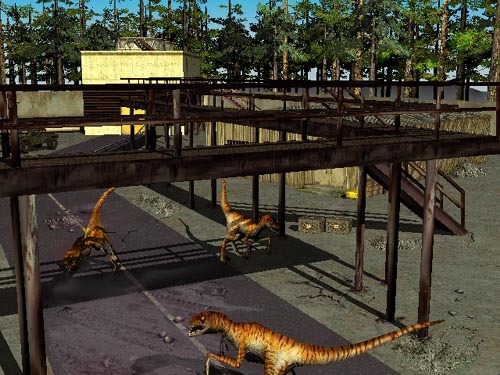 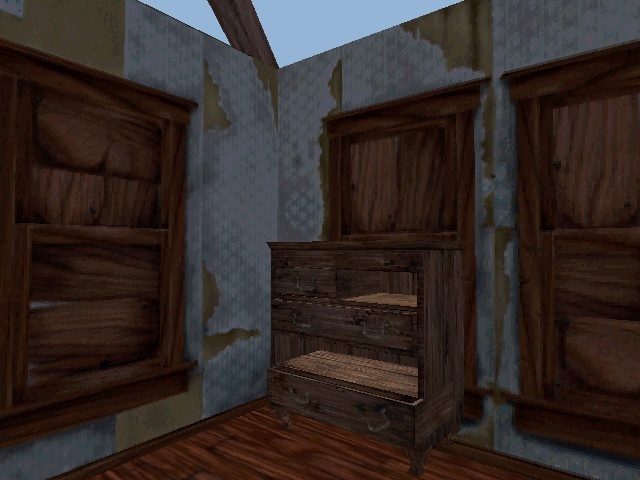 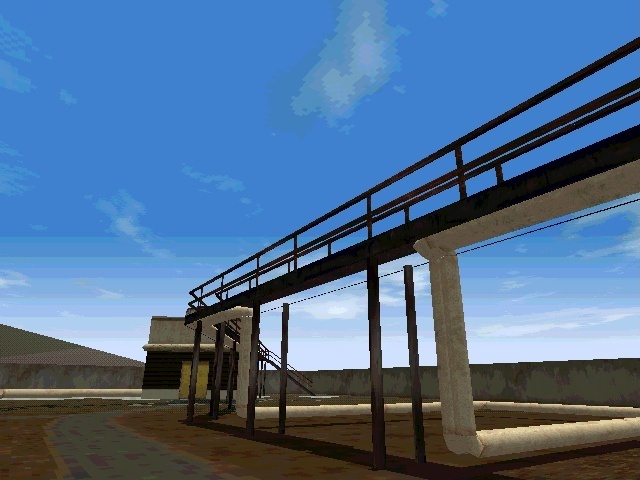 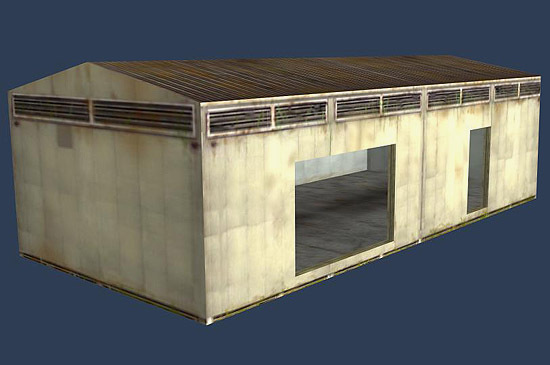 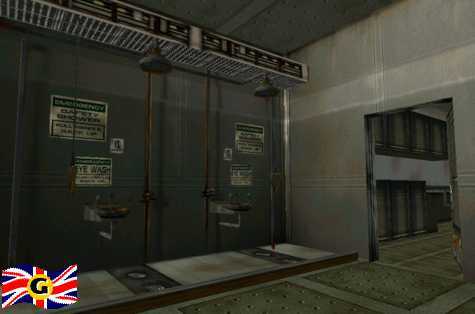 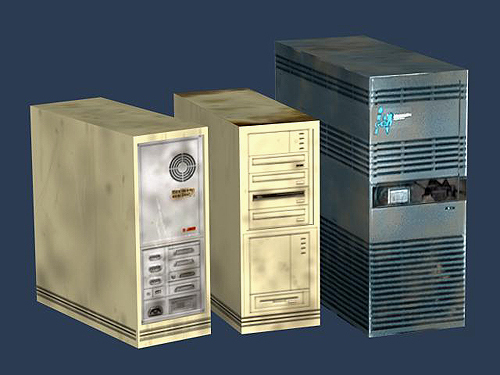 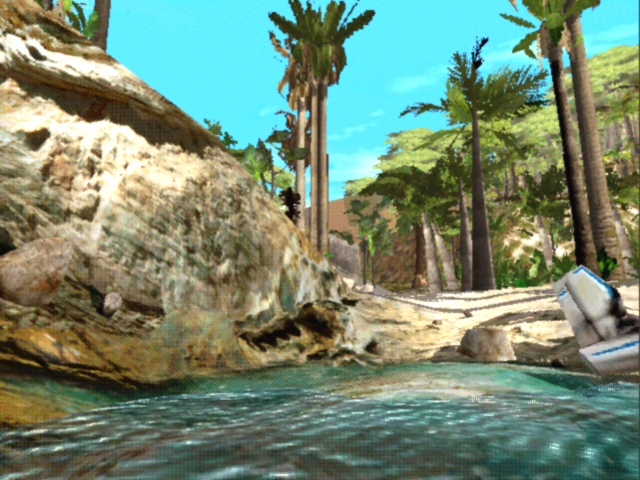 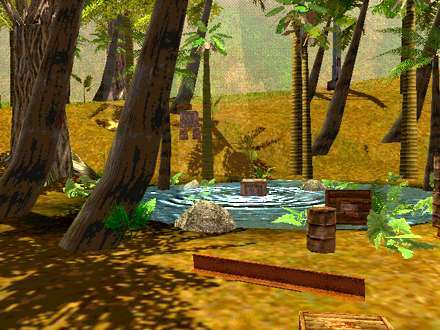 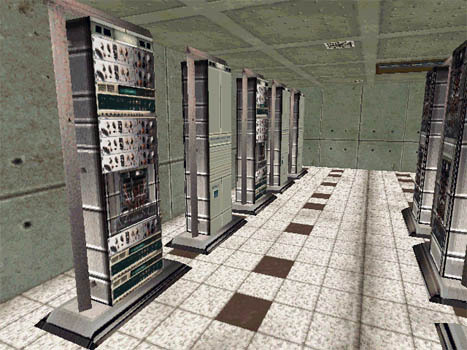 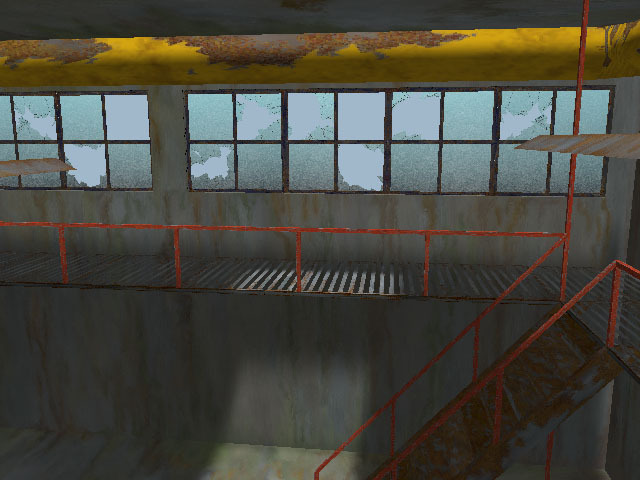 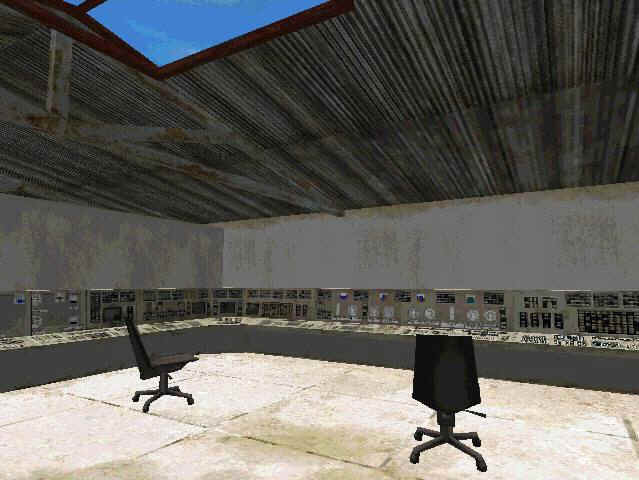 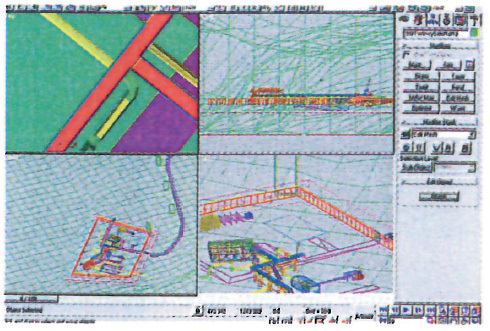 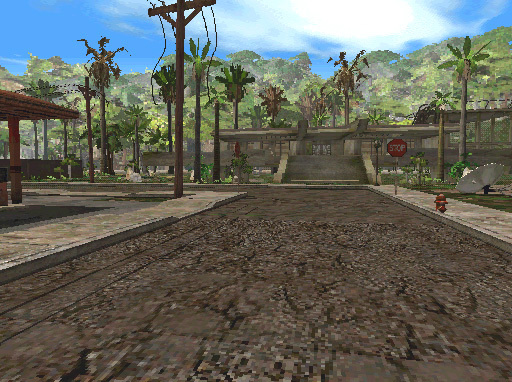 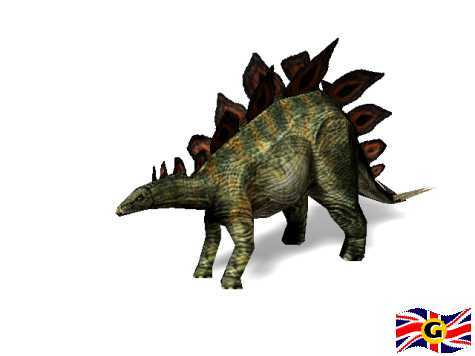 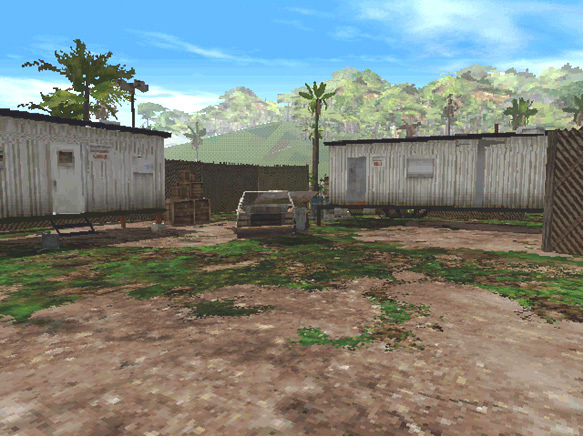 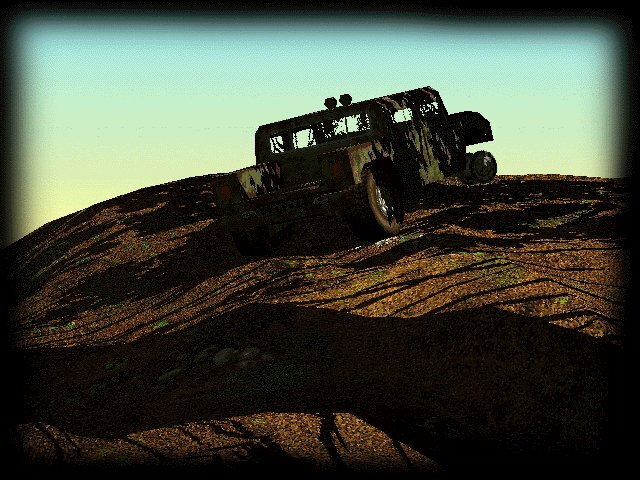 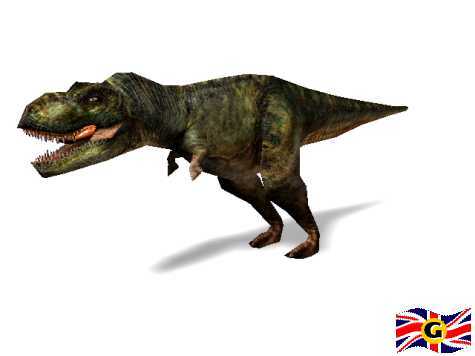 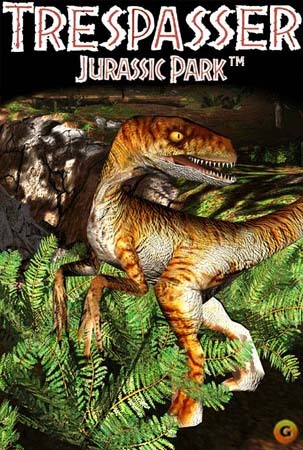 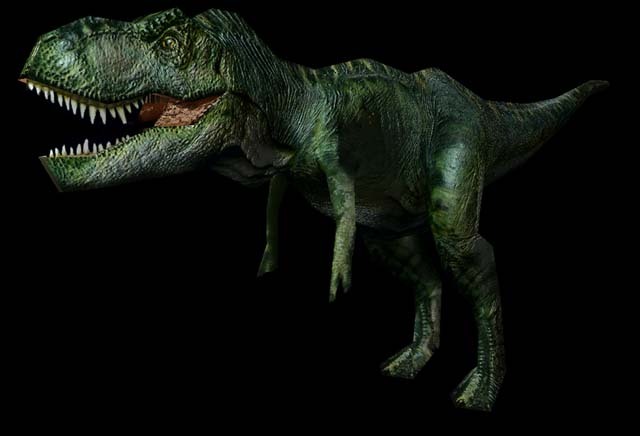 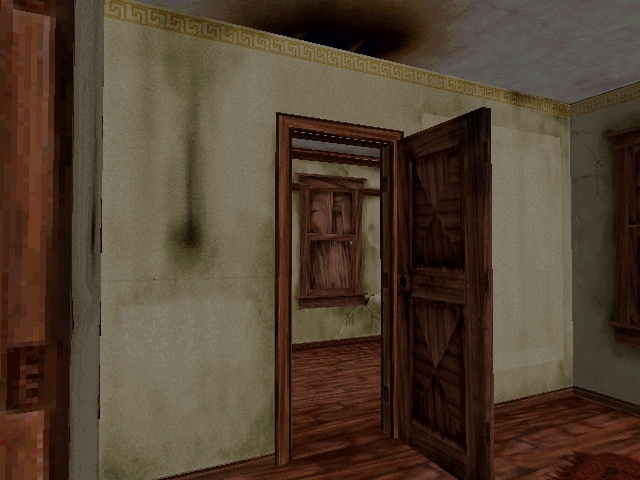 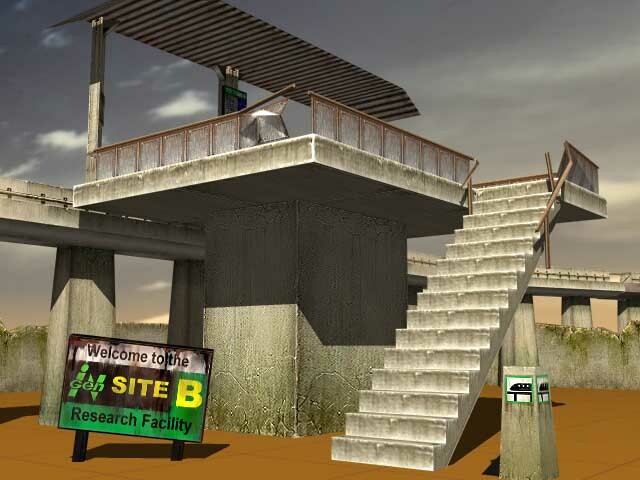 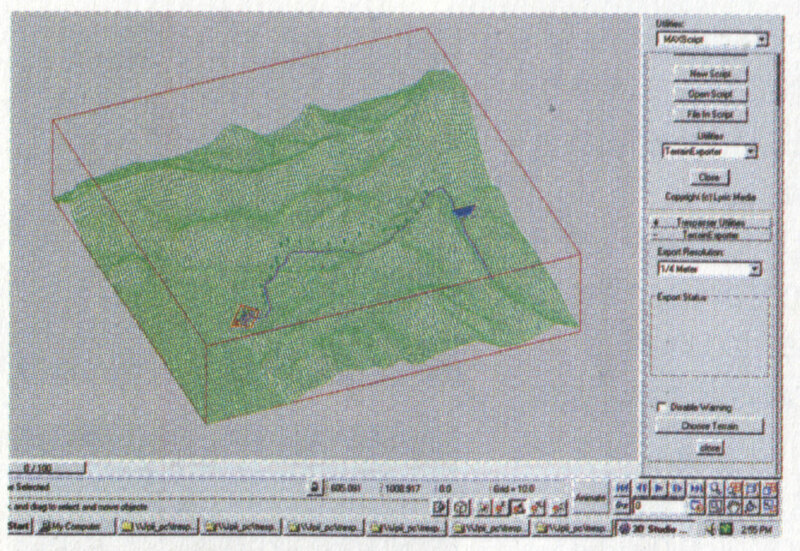 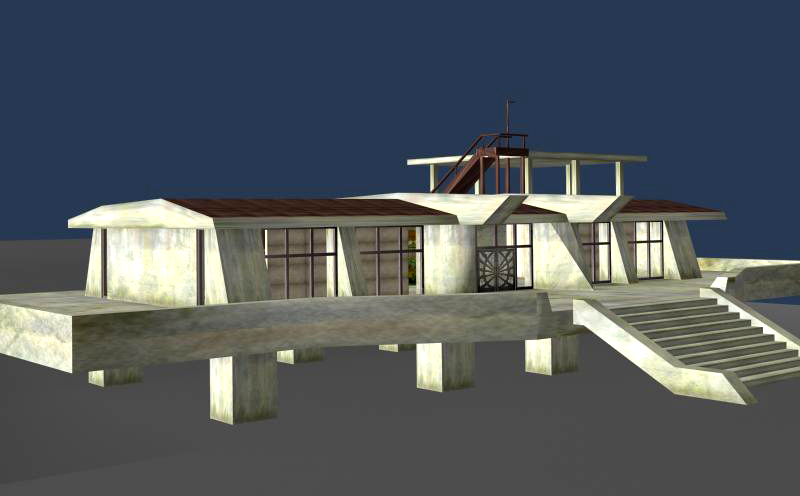 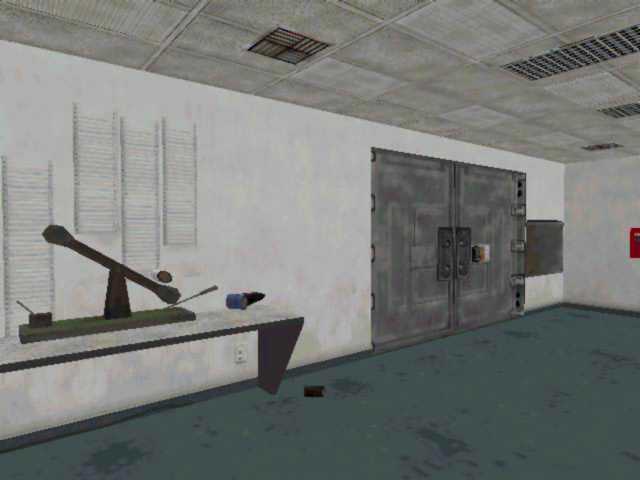 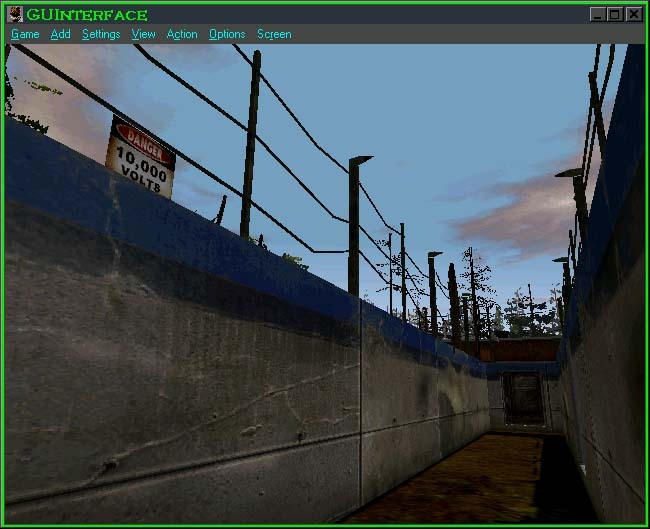 The images were made in 3D Studio MAX (3ds Max), a 3D modelling program that was used to build the levels, GUInterface (known as GUIApp), a tool developed by DWI to convert and test the engine and the level files (along with created assets) and the game itself. 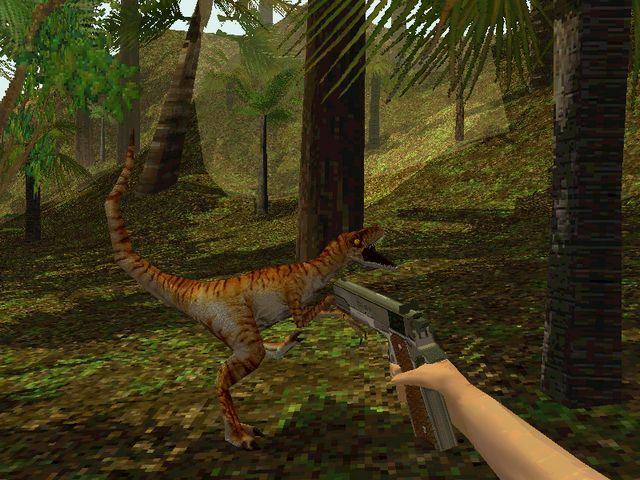 Some might even be Photoshopped. 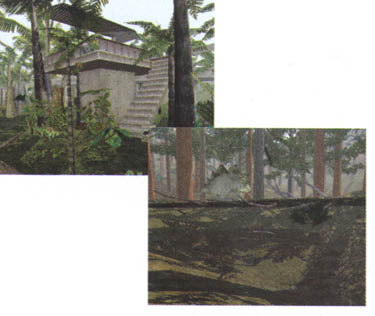 The images are listed by (known) level and the levels are ordered as they will or would appear in-game. 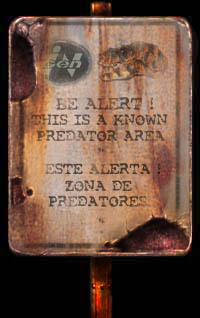 If you think you have an image that’s not on this page then send it to us: paul@trescom.org. 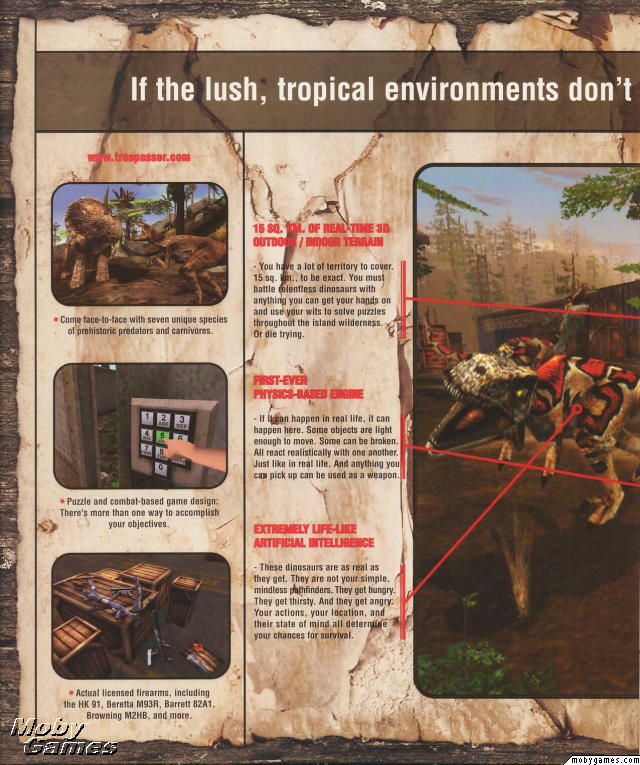 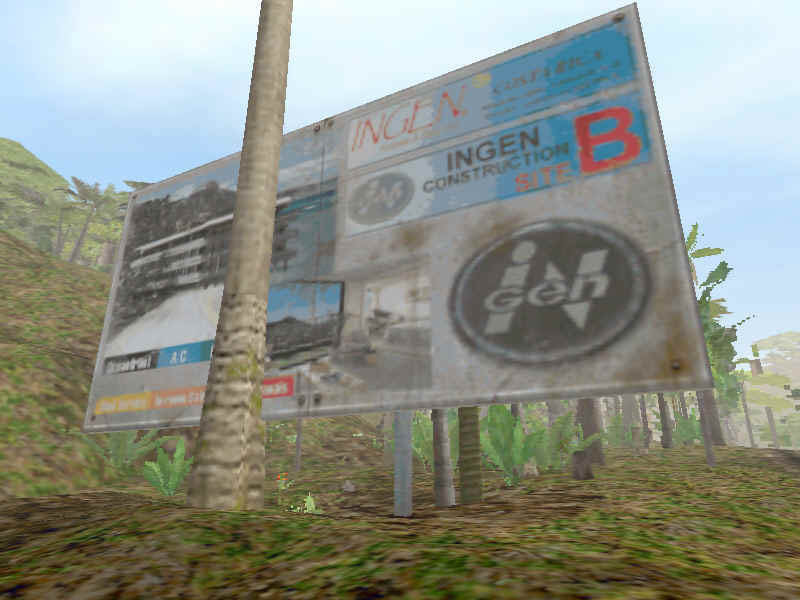 Images included here are from (possibly) various test levels and marketing scenes DWI create to either test various environments, show of their game vision or just created for the marketing team. 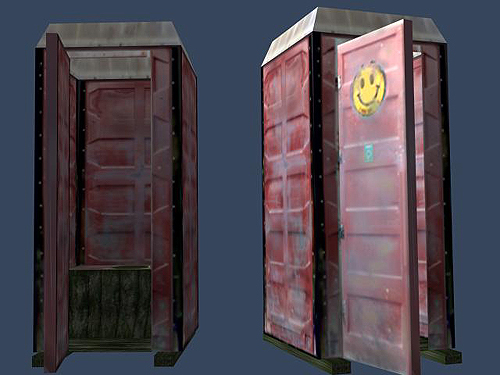 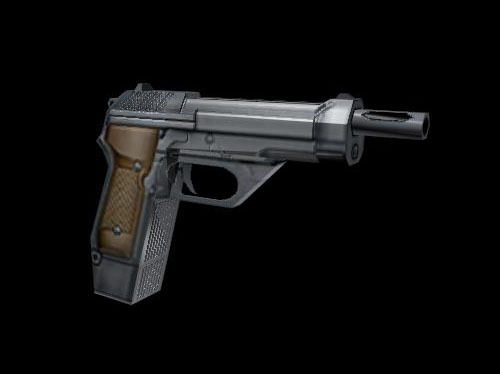 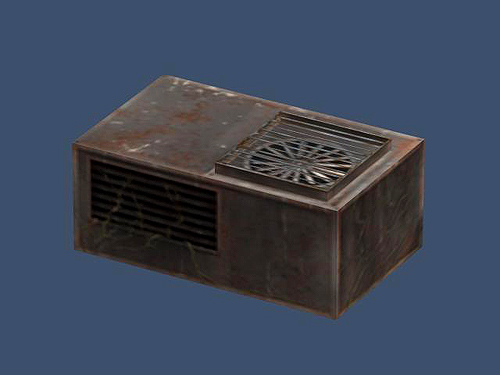 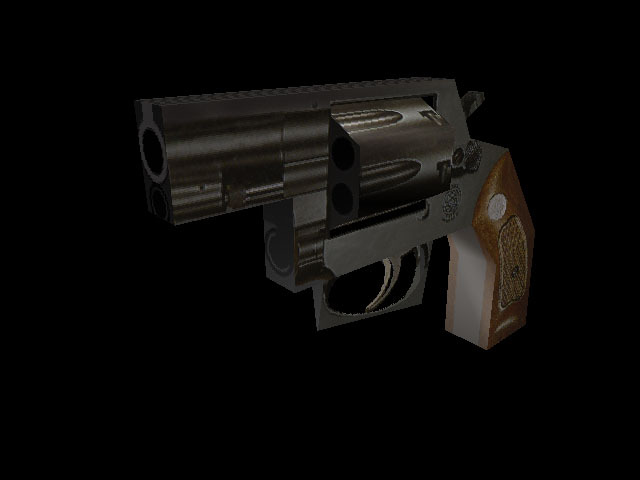 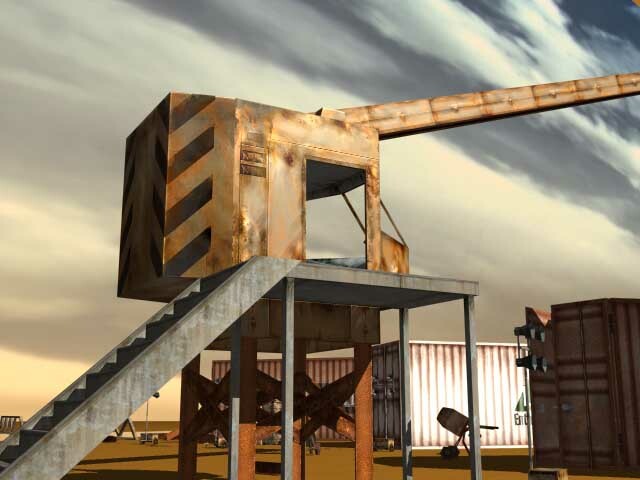 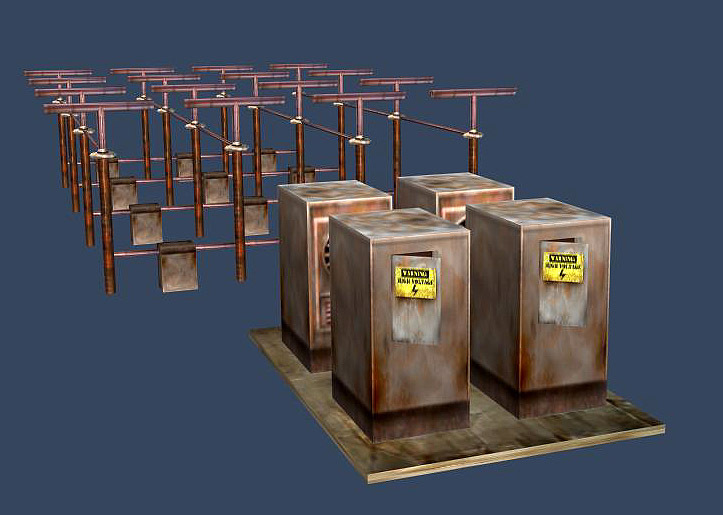 Images shown here are of various renders of models made by someone on the Trespasser team. 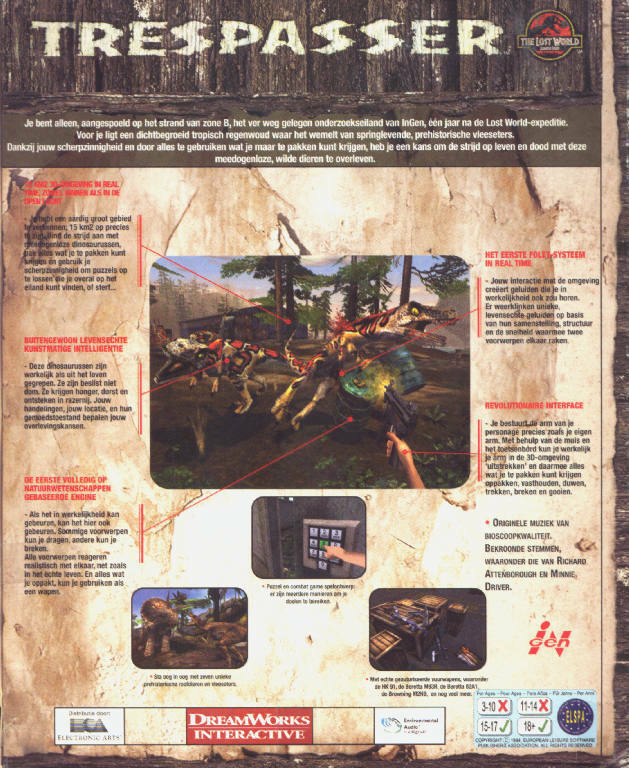 Image of various covers, including box and case art. 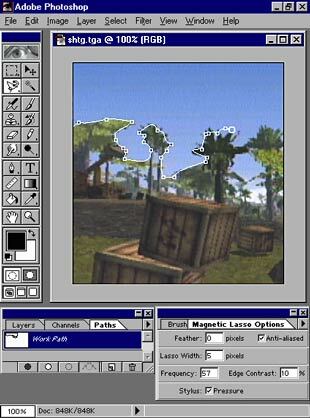 Images taken “Behind The Scene” and are not actually image of the game itself. 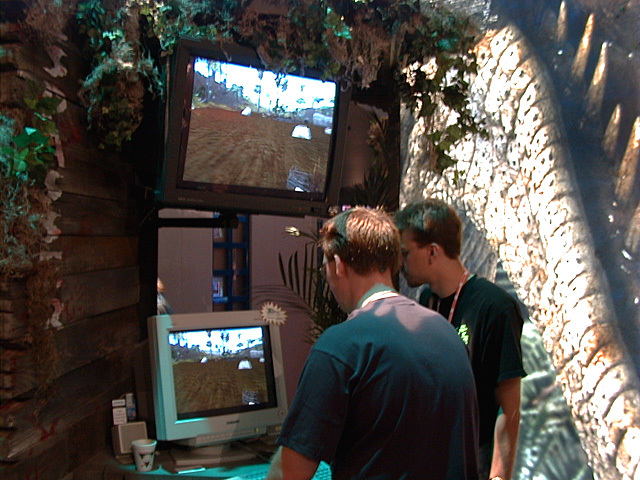 These are from E3 1998. 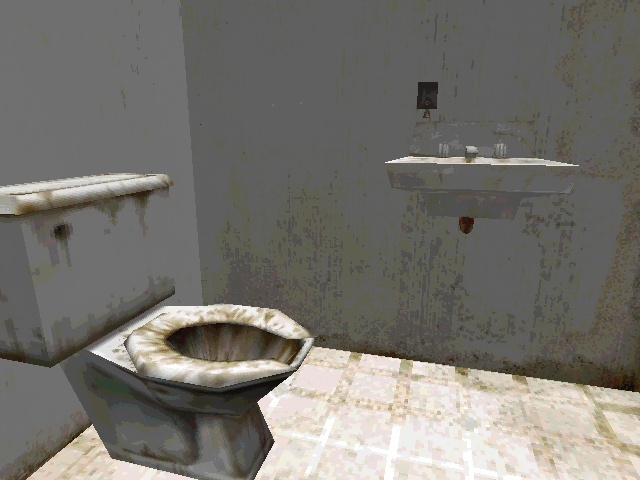 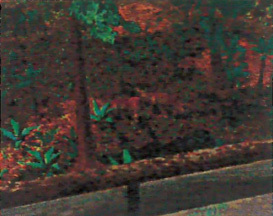 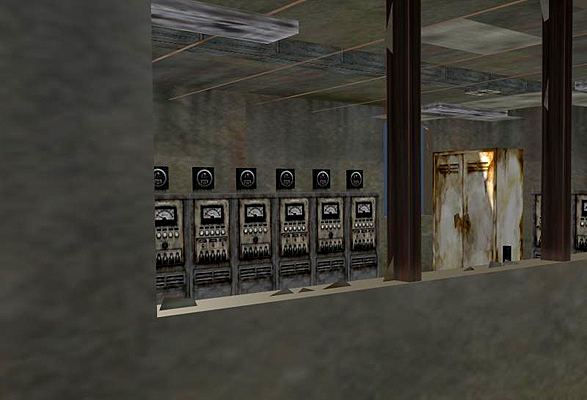 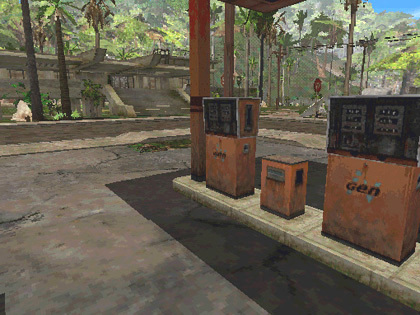 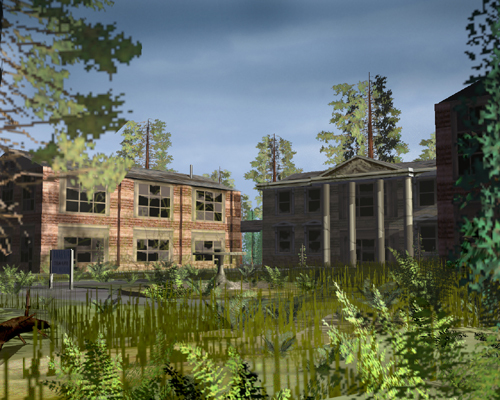 If you think you recognize the location of the images below as of a place in the demo/retail then mail us. 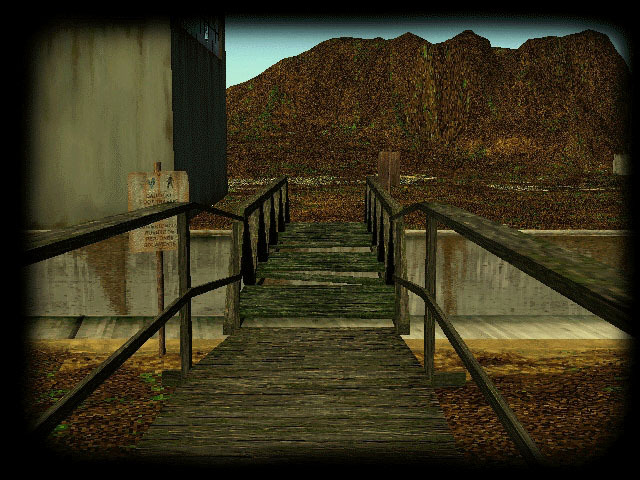 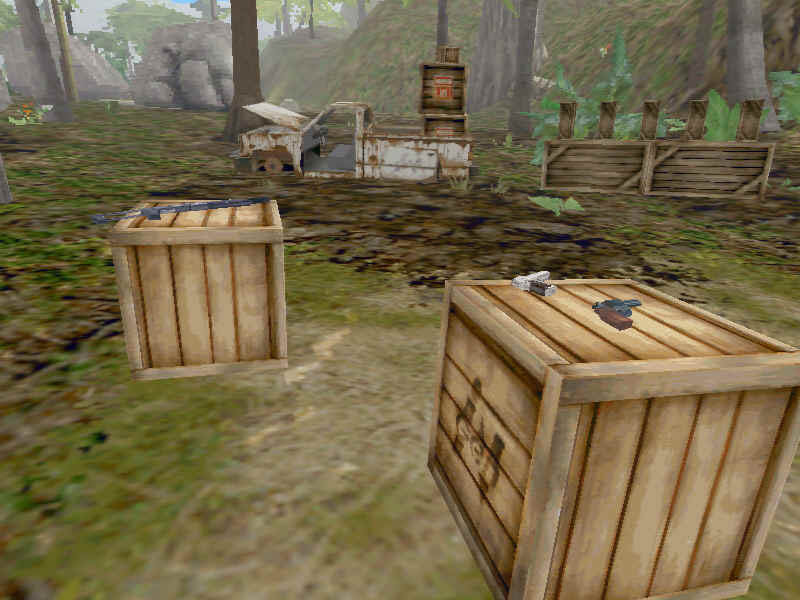 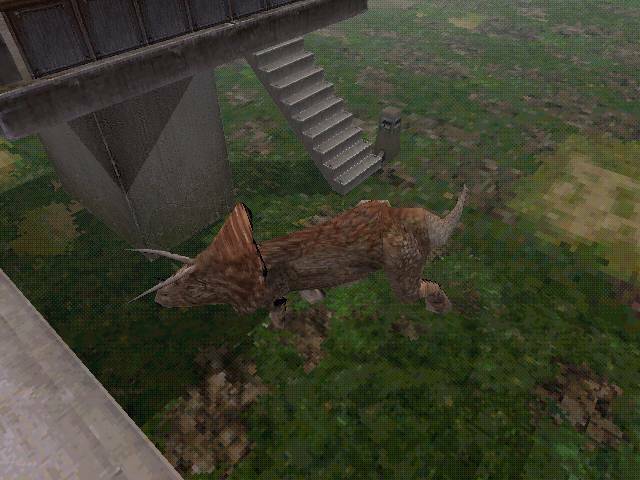 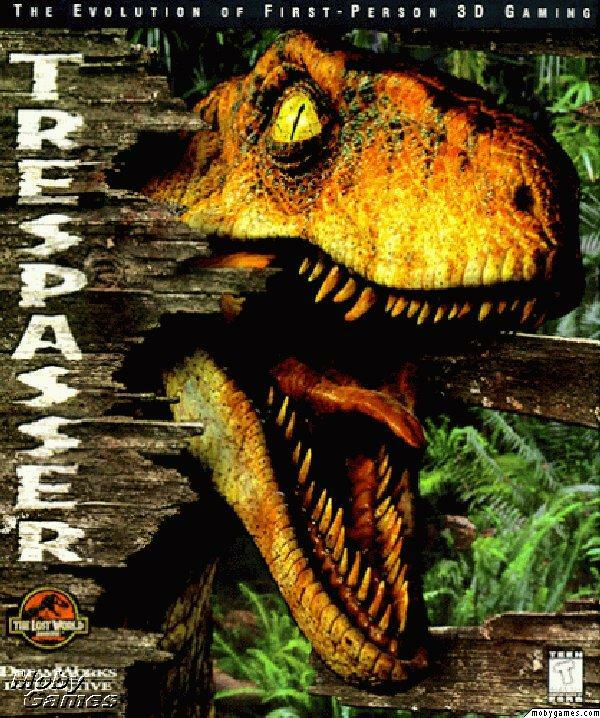 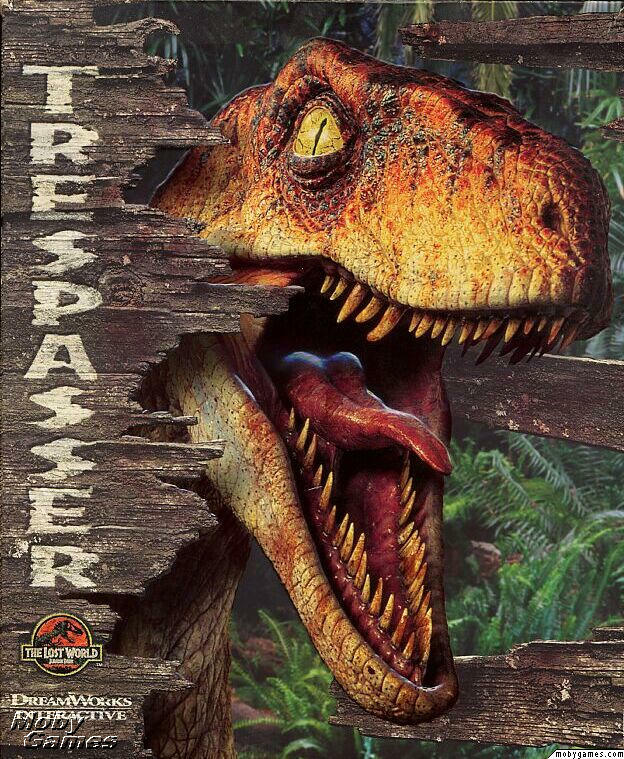 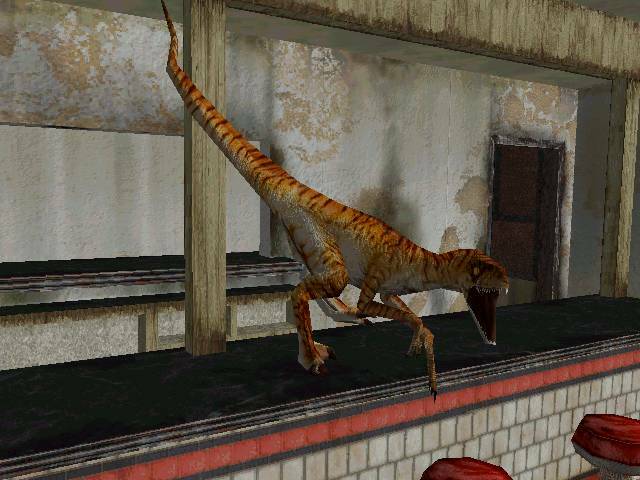 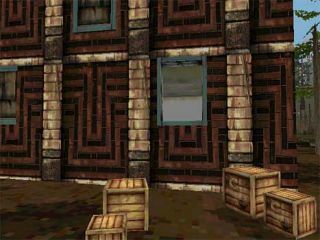 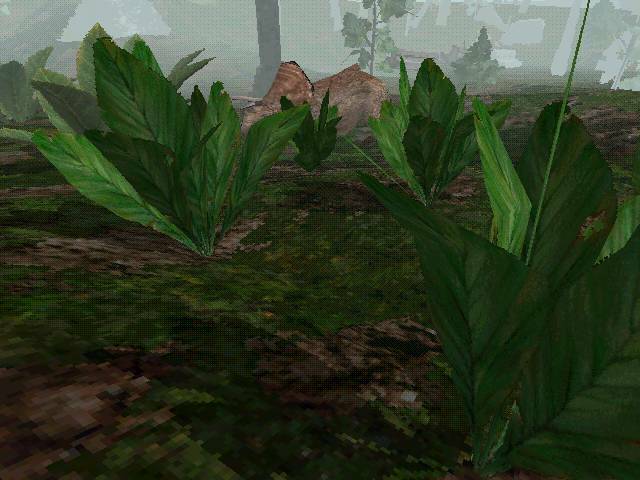 We’d be glad to solve some more mysteries related to the lost levels of Trespasser. 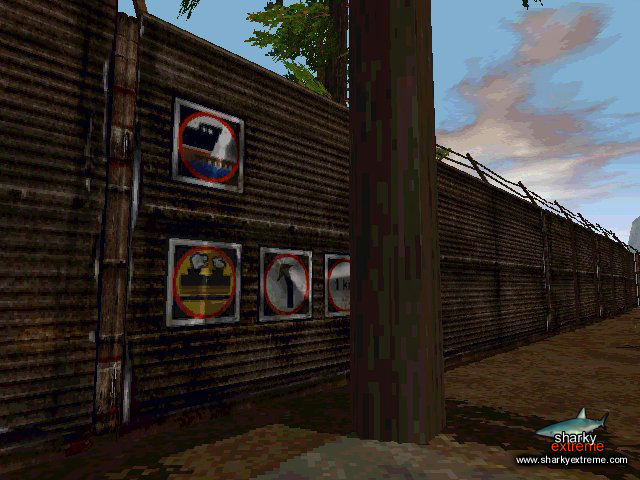 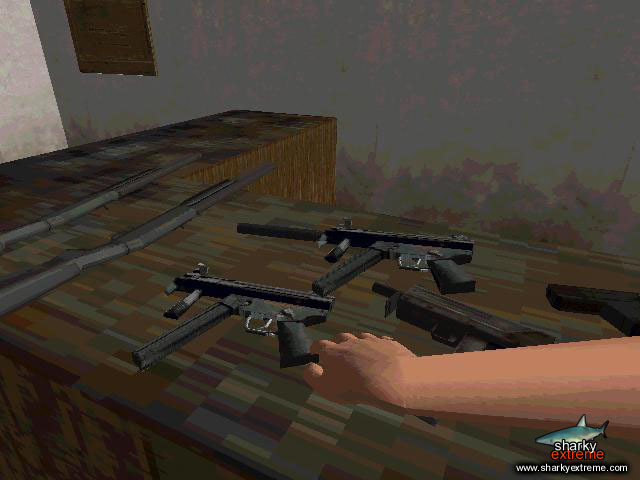 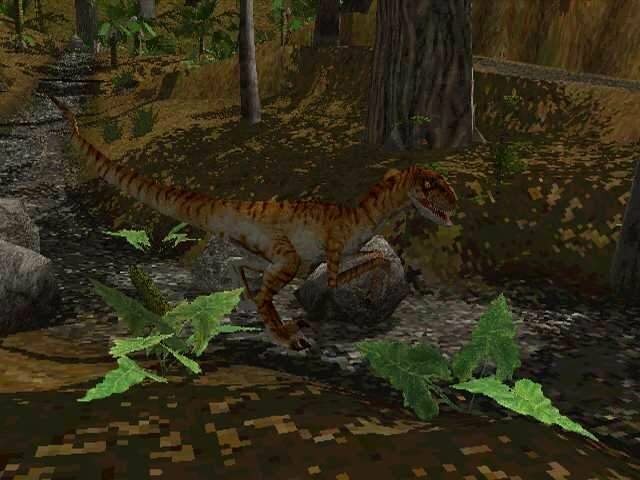 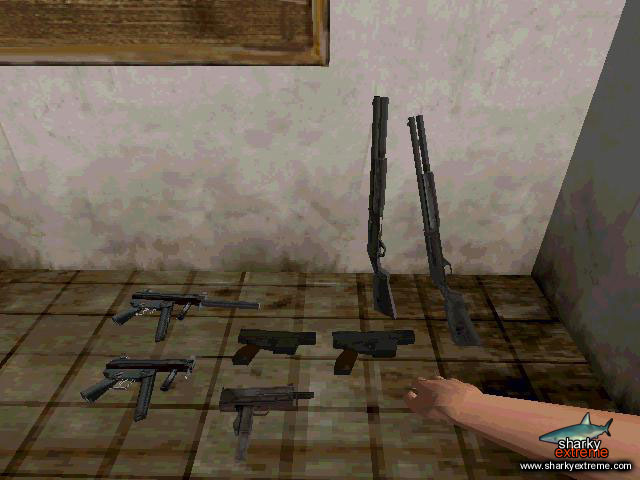 Maybe you can also take a screenshot in the game (by pressing the “Print Screen” key), preferably with the LOC (see cheats-section) cheat enabled, and send the image to: paul@trescom.org or post about it on our forum.